본 발명은 OFDM/SDMA 기반 셀룰러 시스템의 하향링크 자원할당 장치 및 방법에 관한 것임. The present invention will on the downlink resource allocation apparatus and method for OFDM / SDMA-based cellular system. 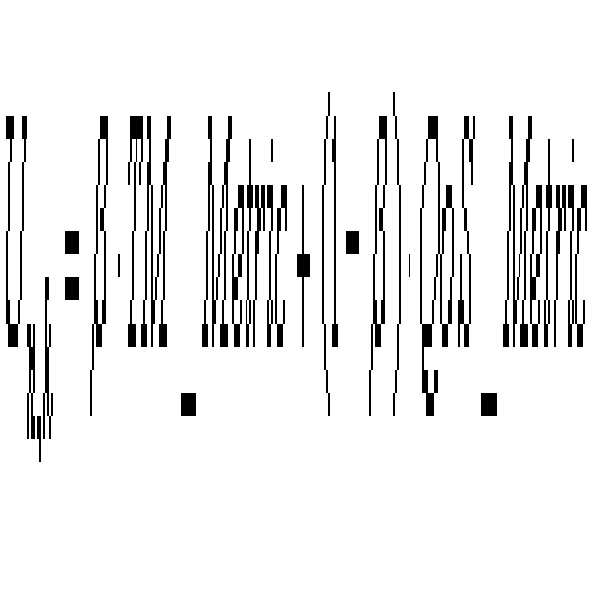 본 발명은 OFDM/SDMA 기반 셀룰러 시스템에서 MAC 계층 이상의 상위 계층에서의 QoS 파라미터(High Layer QoS parameter)를 고려함으로써 시스템 수율 손실을 최소화하면서 상위 계층에서의 QoS(High Layer QoS) 요구 조건을 반영할 수 있는 하향링크 자원할당 장치 및 방법을 제공하는데 그 목적이 있다. The present invention can reflect the QoS parameter (High Layer QoS) QoS of the upper layer with minimal system yield loss by taking into account the (High Layer QoS parameter) requirements in OFDM / SDMA-based cellular system, the parent in the MAC layer or more layers that there is provided a downlink resource allocation method and apparatus. 본 발명은 OFDM/SDMA를 사용하는 이동통신시스템에서 사용자 단말로 무선자원을 할당하는 하향링크 자원할당 장치로서, 복수의 서브 밴드에 대하여 상기 단말에 대한 수율 최대화 메트릭을 생성하는 수율최대화 메트릭 생성부, 상기 단말이 요구하는 상위계층 QoS 정보를 획득하는 QoS 정보 획득부, 상기 QoS 정보를 이용하여 QoS 메트릭을 생성하는 QoS 메트릭 생성부, 및 상기 수율 최대화 메트릭 및 상기 QoS 메트릭을 이용하여 상기 복수의 서브 밴드 가운데 상기 단말로 할당할 서브 밴드를 선택하는 무선자원 할당부를 포함한다. The present invention yields maximum metric generator for generating a yield maximum metric for the terminal with respect to a plurality of a downlink resource allocation apparatus for allocating radio resources to the user terminal in a mobile communication system using the OFDM / SDMA, the sub-band, the terminal obtains QoS information to acquire the higher layer QoS information to the requesting unit, QoS metric generator for generating a QoS metrics, using the QoS information, and the yield maximum metric and the plurality of sub-using the QoS metric band the center portion comprises a radio resource allocation for selecting a sub-band to be assigned to the mobile station. 본 발명은 하향링크 자원할당을 수행하는 OFDM/SDMA 기반 시스템 등에 이용 됨. The invention being used for OFDM / SDMA-based system for performing downlink resource allocation. 도 5는 본 발명에 따른 혼합 메트릭을 생성하는 방법을 설명하기 위한 일실시예 상세 흐름도이다. Figure 5 is one embodiment of a detailed flow diagram illustrating a method of generating a mixed metric in accordance with the present invention. 본 발명은 OFDM/SDMA 기반 셀룰러 시스템의 하향링크 자원할당 장치 및 방법에 관한 것으로, 더욱 상세하게는 OFDM/SDMA 기반 셀룰러 시스템에서 다양한 트래픽의 개별 QoS를 보장하는 하향링크 자원할당 장치 및 방법에 관한 것이다. The present invention relates to that, more specifically, the downlink resource allocation apparatus and method for ensuring the individual QoS for different traffic from OFDM / SDMA-based cellular system according to the downlink resource allocation apparatus and method for OFDM / SDMA-based cellular system . 국내외적으로 4세대 이동통신에 대한 관심이 높아지면서 상기 4 세대 이동통신의 요구 사항을 만족시키기 위한 시스템에 대한 연구가 활발하게 진행되고 있다. As increased interest in the 4G mobile communication at home and abroad have been actively carried out research on the system to meet the requirements of the 4G mobile communication needs. 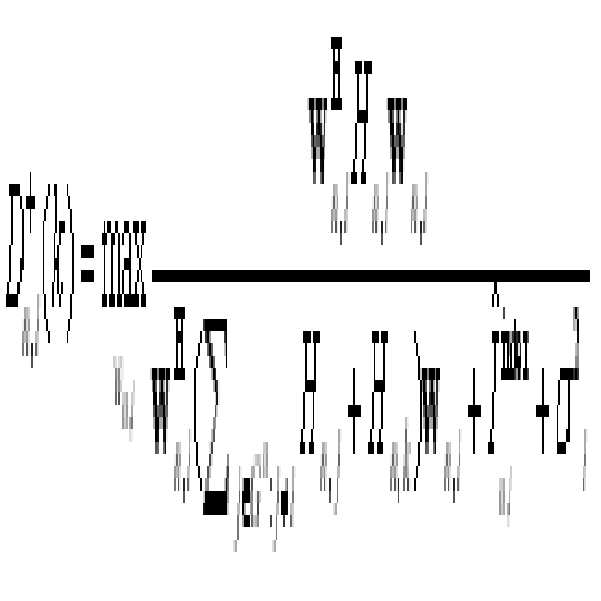 특히, 직교주파수분할다중화(OFDM; Orthogonal Frequency Division Multiplexing) 방식은 높은 전송 효율과 간단한 채널 등화 방식을 지원하는 등의 장점을 가지는 이유로, 4세대 이동통신 시스템에 적용하기에 적절한 방식 가운데 하나로 주목받고 있다. In particular, orthogonal frequency division multiplexing; scheme (OFDM Orthogonal Frequency Division Multiplexing) has attracted attention as one of the suitable manner for application to the high transmission efficiency reasons having advantages of supporting a simple channel equalization system, 4G mobile communication system . 상기 OFDM 방식은 이미 IEEE 820.11a와 ETSI HIPERLAN/2와 같은 WRAN 시스템, 유럽의 DAB(Digital Audio Broadcasting) 및 DVB(Digital Broadcasting) 시스템, 고정 무선 접속 시스템 IEEE 802.16의 무선 전송 규격 표준으로 채택되어 있다. The OFDM scheme has already been adopted as IEEE 820.11a and ETSI HIPERLAN / 2, such as a WRAN system, DAB (Digital Audio Broadcasting) in Europe, and the DVB (Digital Broadcasting) systems, fixed wireless access system of the IEEE 802.16 wireless transmission standard specifications. 이러한 OFDM을 기반으로 하는 다중 접속 방식인 OFDMA(OFDM-FDMA) 방식은 각 사용자에게 서로 다른 서브 캐리어를 할당하는 방식으로서, 사용자의 요구에 맞추어 서브 채널을 할당함으로써 다양한 QoS(Quality of Service)를 제공할 수 있다. A multiple access method in OFDMA (OFDM-FDMA) system that is based on these OFDM is a scheme for allocating different sub-carriers to each user, provide a different QoS (Quality of Service) by assigning a sub-channel according to the user's request can do. 또한, 상기 OFDMA 방식은 사용자의 채널 상황에 따라 서브 캐리어의 변조 및 코딩 레벨을 변화시키는 적응 변조 및 코딩(AMC; Adaptive Modulation and Coding) 방식, 사용자에게 동적으로 서브 캐리어를 할당하는 동적 채널 할당(Dynamic Channel Allocation) 방식 및 워터 필링(Water filling)과 같은 송신단 전력 제어(Transmit Power Control) 방식을 접목함으로써 시스템의 수율을 최대화할 수 있는 장점을 갖는다. In addition, the OFDMA scheme is adaptive modulation and coding to change the modulation and coding level of a sub-carrier according to the user's channel condition; dynamic channel assignment for assigning (AMC Adaptive Modulation and Coding) scheme, dynamic sub-carriers to the user (Dynamic by combining the Channel Allocation) method and the water-filling (transmitter power control, such as a water filling) (Transmit power control) method has the advantage of being able to maximize the yield of the system. 상기와 같은 OFDMA 시스템에서 전송 전력의 제한이 있는 조건에서의 수율 최대화(Throoughput Maximization)을 위한 서브 캐리어 및 비트 할당 알고리즘, 및 전송 데이터율의 제한이 있는 조건에서의 전송 전력을 최소화하는 서브 캐리어 및 비트 할당 알고리즘에 대한 연구는 많이 진행된 상황이다. Yield maximized at conditions that limit the transmit power in the OFDMA system as described above (Throoughput Maximization) a for subcarrier and bit allocation algorithm, and a sub-carrier and a bit which minimizes the transmit power in a condition that limits the transmission data rate research on allocation algorithm is more advanced situations. 최근에는 OFDMA 시스템의 수율을 더욱 향상시키기 위하여 공간분할다중접속(SDMA; Spatial Division Multiple Access) 방식을 기존의 OFDMA 시스템에 접목시키려는 연구가 진행되고 있다. Recently, space division multiple access in order to further improve the yield of the OFDMA system; there is a wish to combine the study (SDMA Spatial Division Multiple Access) scheme in existing OFDMA system proceeds. SDMA 방식은 사용자들의 공간 정보를 이용하여 하나의 섹터 내에서 다수의 사용자들이 동일한 주파수 자원을 동일섹터간섭 없이 사용할 수 있도록 하는 다중 접속 방식이다. SDMA scheme is a multiple access scheme that enables multiple users to the same frequency resources within a sector by using spatial information of the user, without the same sector interference. 적응형 안테나(Adaptive Antenna) 기술을 이용하는 SDMA 방식을 기지국에 적용할 경우 상기 기지국은 공간적으로 구분 가능한 사용자를 동일 채널에 할당할 수 있으며, 이는 인트라-셀 재사용(Intra-Cell Reuse)을 가능토록 하므로 시스템 수율(Throughput)을 극대화할 수 있다. When applying the SDMA scheme using an adaptive antenna (Adaptive Antenna) technology in the base station, the base station can assign the available spatially separated users on the same channel, which intra-ever possible cell re-use (Intra-Cell Reuse) so it is possible to maximize the system throughput (Throughput). 이러한 SDMA 방식을 적용하기 위해서는 사용자 간의 공간적 구분도(Spatial Separability)의 확인이 필수적이다. In order to apply these SDMA scheme is necessary to confirm the spatial also nine minutes (Spatial Separability) between users. 여기서 공간적 구분도의 확인이란 동일 섹터 내에 있는 사용자들을 공간적 위치에 따라 구분하는 것을 의미한다. The confirmation of the spatial nine minutes is also meant to distinguished by the use in the same sector in the spatial position. 상향 링크의 경우 동일한 채널(Co-Channel)을 사용하는 동일 채널 사용자 간의 공간 구분을 위해 각각의 사용자에게 적절한 가중 벡터(Weight Vector)를 개별적으로 구하여 적용할 수 있으므로, 사용자의 공간적 구분이 비교적 용이하다. For the uplink, because the same channel (Co-Channel) can be applied to obtain the proper weight vector (Weight Vector) to each user for spatial separation between co-channel users individually using a, it is relatively easy, the user's spatial nine minutes . 그러나, 하향 링크의 경우에는 동일 채널 사용자 간의 공간 구분을 위한 빔형성 가중 벡터(Beamforming Weight Vector)를 결정하기가 쉽지 않다. However, in the case of the down-link, it is not easy to determine the beamforming weight vector (Weight Beamforming Vector) for the spatial separation between co-channel users. 이는 하향 링크의 경우 상향 링크와 달리 송신단에서 동일 채널 사용자의 데이터를 빔형성하여 함께 보내게 되므로, 한 사용자의 전송 파라미터의 변경이 다른 사용자의 간섭 레벨(Interference Level)에 영향을 주게 되어 QoS를 유지하기가 어려워지기 때문이다. This is the case of the downlink, because spent with the beam to form a co-channel users of the data at the transmitting end, unlike the uplink, is influenced to a user of the transmitting parameter change, the other users in the interference level (Interference Level) for maintaining QoS It is because to be difficult. 따라서, 동일 채널의 공간 구분을 위한 빔형성 가중 벡터는 각각의 동일 채널의 QoS를 유지할 수 있도록 선정되어야 한다. Thus, the beamforming weight vector for the spatial separation of co-channel must be selected to maintain the QoS of each of the co-channel. 지금까지 SDMA 방식에 대한 대부분의 연구는 PHY(Physical Layer Protocol) 계층에서 주어진 사용자가 있을 때 각각의 사용자 요구 SINR(Signal to Interference and Noise Ratio)을 유지하면서 최적의 가중 벡터(Weight Vector)를 산출하고 전송 전력을 최소화하는 방식에 대한 연구가 주류를 이루어왔다. Until now, most research on the SDMA scheme when in the layer (Physical Layer Protocol) PHY to a given user, while maintaining the individual user requirements SINR (Signal to Interference and Noise Ratio) and calculates the optimum weighting vector (Weight Vector) research on how to minimize the transmission power have been achieved mainstream. 그리고, 수율 최적화를 위하여 하나의 채널에 가능한 많은 사용자를 할당하는 MAC(Media Access Control) 계층에 대한 연구가 일부 진행되었다. In addition, research on the MAC (Media Access Control) layer to assign as many users as possible on one channel to optimize the yield has been some progress. 하지만 이들을 상호 연관(Joint)시키기 위한 연구는 극히 드문 실정이다. But these studies to correlate (Joint) is an extremely rare situation. 또한, 전체 시스템의 성능을 향상시키기 위해서는 PHY 계층 및 MAC 계층 간의 연계 디자인(cross layer design)에 대한 연구가 필요할 뿐만 아니라, 그보다 상위 계층에서 요구하는 QoS를 만족시키기 위한 자원할당 방법도 제안될 필요가 있다. In addition, the resource allocation to meet the QoS as well as the necessary research, but rather request from the upper layer of the PHY layer and MAC linkage design (cross layer design) between layers in order to improve the performance of the entire system need to be proposed have. 즉, 현재까지 제안된 대부분의 SDMA 기반의 자원할당 방법은 시스템의 수율 최대화에 초점이 맞추어져 있어 사용자의 QoS 요구 조건이나 요구 트래픽 특성들을 반영할 수 없다는 문제점이 있으며, 이는 전체 시스템의 성능 열화를 가져오게 된다. In other words, most of the resource allocation in SDMA-based proposed to date have focused on yield maximization of the system and the problem can not reflect the QoS requirements and needs traffic characteristics of a user, which is the performance degradation of the entire system It is imported. 예를 들어, 화상 회의와 같은 실시간 서비스는 도달하는 패킷들의 지연 제한(Delay Bound)가 엄격하게 정해져 있으며, 기지국에서 큐 길이(Queue Length)를 적절하게 조절하여 패킷 손실율(Packet Dropping Ratio)을 유지해야만 한다. For example, real-time services such as video conferencing, the delay limit of the packet to reach (Delay Bound) are defined strictly, and by properly adjusting the queue length (Queue Length) from the base station must maintain the packet loss rate (Packet Dropping Ratio) do. 또한, VOD(Video On Demand)와 같은 비실시간 서비스는 비록 실시간 서비스와 같이 요구 사항이 엄격하지는 않지만 각 사용자에 대하여 최소 전송율(Minimum Transmission Rate)를 보장하여야만 서비스가 가능하다. In addition, non-real-time services, such as VOD (Video On Demand) is possible though hayeoyaman guarantee a minimum data rate (Minimum Transmission Rate) for each user, but not strict requirements, such as real-time services services. 하지만, 기존의 시스템 수율 최대화 자원할당 방법만으로는 이러한 서비스 요구 사항을 만족시키는데 한계가 있으며, MAC 계층 이상의 상위 계층(High Layer)에서의 QoS 파라미터인 지연 제한과 최소 전송율 및 큐 길이 등을 반영할 수 있는 SDMA 기반의 자원할당 방법이 제안될 필요가 있다. However, that reflects the existing system throughput maximized only resource allocation method has limitations in meeting the requirements of these services demand, QoS parameter, the delay limit in a MAC layer above the upper layer (High Layer) and the minimum transmission rate and the queue length, etc. a resource allocation method based on SDMA need to be proposed. 또한, 기존의 SDMA 기반 자원할당 방법은 대부분 단일 셀(Single Cell) 환경에서 설계되었기 때문에, 이를 직접적으로 다중 셀(Multi-Cell) 환경으로 확장할 경우 인접 셀 간섭으로 인한 급격한 성능 열화를 가져온다는 문제점이 있다. Further, since the conventional SDMA-based resource allocation method is mostly designed in the environment single-cell (Single Cell), if it be directly extended to the multi-cell (Multi-Cell) environment results in a significant performance deterioration due to inter-cell interference is a problem there is. 따라서, 다중 셀 환경에서 기인하는 인접 셀 간섭에 대처할 수 있는 SDMA 자원 할당 방법이 필요한 상황이다. Therefore, the need to deal with that neighbor cell interference SDMA resource allocation situation resulting in a multi-cell environment. 본 발명은 상기 문제점을 해결하기 위하여 제안된 것으로, OFDM/SDMA 기반 셀룰러 시스템에서 MAC 계층 이상의 상위 계층에서의 QoS 파라미터(High Layer QoS parameter)를 고려함으로써 시스템 수율 손실을 최소화하면서 상위 계층에서의 QoS(High Layer QoS) 요구 조건을 반영할 수 있는 하향링크 자원할당 장치 및 방법을 제공하는데 그 목적이 있다. The invention QoS of the upper layer with minimal system yield loss from a consideration of the to, QoS parameters (High Layer QoS parameter) in OFDM / SDMA-based cellular system, the parent in the MAC layer or more layers proposed to solve the above problem ( High Layer QoS) which aims to provide a downlink resource allocation method and apparatus that can be reflected in the requirements. 또한, 본 발명은 다중 셀(Multi-Cell) 환경에서 기인하는 인접 셀 간섭 정보를 자원 할당에 고려할 수 있도록 함으로써 다중 셀(Multi-Cell) 환경에서도 적용 가능한 하향링크 자원할당 장치 및 방법을 제공하는데 그 목적이 있다. In addition, the invention provides a multi-cell (Multi-Cell) environment, inter-cell interference information is applicable even in a multi-cell (Multi-Cell) environment by making it possible to consider the resources allocated downlink resource allocation apparatus and method resulting in that there is a purpose. 본 발명의 다른 목적 및 장점들은 하기의 설명에 의해서 이해될 수 있으며, 본 발명의 실시예에 의해 보다 분명하게 알게 될 것이다. It may be understood by the following description of Other objects and advantages of the present invention will be appreciated more clearly by the embodiment of the present invention. 또한, 본 발명의 목적 및 장점들은 특허 청구 범위에 나타낸 수단 및 그 조합에 의해 실현될 수 있음을 쉽게 알 수 있을 것이다. Also, the objects and advantages of the invention will be readily appreciated that this can be realized by the means as claimed and combinations thereof. 상기 목적을 달성하기 위한 본 발명은 직교주파수분할다중화방식을 사용하는 이동통신시스템에서 사용자 단말로 무선자원을 할당하는 하향링크 자원할당 장치로서, 복수의 서브 밴드에 대하여 상기 단말에 대한 수율 최대화 메트릭을 생성하는 수율최대화 메트릭 생성부, 상기 단말이 요구하는 상위계층 QoS 정보를 획득하는 QoS 정보 획득부, 상기 QoS 정보를 이용하여 QoS 메트릭을 생성하는 QoS 메트릭 생성부, 및 상기 수율 최대화 메트릭 및 상기 QoS 메트릭을 이용하여 상기 복수의 서브 밴드 가운데 상기 단말로 할당할 서브 밴드를 선택하는 무선자원 할당부를 포함한다. A downlink resource allocation apparatus of the present invention for achieving the abovementioned objects is assigned the radio resources to the user terminal in a mobile communication system using an orthogonal frequency division multiplexing method, the yield maximized metric for the terminal to a plurality of sub-bands production yield maximum metric generation unit, QoS metric generation unit, and the yield maximum metric and the QoS metrics for generating a QoS metric using the QoS information obtaining unit, where the QoS information to acquire the higher layer QoS information that the mobile station is required to the use of the radio resource allocation section comprises selecting a sub-band to be assigned to the mobile station among the plurality of subbands. 상기 QoS 메트릭은 상기 실시간 서비스가 상기 비실시간 서비스보다 더 높은 우선 순위를 가지도록 설정되며, Best Effort는 가장 낮은 우선 순위를 가지도록 설정된다. The QoS metrics are set to have the real-time service is a higher priority than the non-real-time service, Best Effort is set to have the lowest priority. 또한, 상기 QoS 정보는 실시간 서비스가 요구하는 패킷 손실율 정보와 패킷 지연 제한 정보 및 비실시간 서비스가 요구하는 최소 데이터 전송율을 포함한다. In addition, should the QoS information comprises a packet loss rate and packet delay information restriction information and non-real-time data transmission rate at least by the service request to the real-time service is requested. 상기 무선자원 할당부는 상기 최대수율 메트릭 및 상기 QoS 메트릭의 가중치를 결정하는 수단, 상기 최대수율 메트릭과 상기 QoS 메트릭 및 상기 가중치를 이용하여 혼합 메트릭을 생성하는 수단, 및 상기 복수의 서브 밴드 가운데 상기 혼합 메트릭이 가장 큰 서브 밴드를 상기 단말로 할당할 서브 밴드로 선택하는 수단을 포함한다. The radio resource assigning unit the maximum yield metrics, and means for determining the weight of the QoS metrics, means for producing a mixed metric using the maximum yield metrics and the QoS metric and the weight, and the mixing of the plurality of sub-band and it means for the selection metric for a sub-band to sub-band to be assigned to the mobile station. 또한, 상기 자원할당 장치는 상기 단말의 채널상태정보 및 인접 셀에 의한 간섭정보를 획득하는 채널상태정보/간섭정보 획득부, 및 상기 단말 및 상기 단말과 동일 채널을 사용하는 단말의 공간 구분을 위한 빔형성 가중 벡터를 결정하는 공간 구분부를 더 포함할 수 있다. In addition, the resource allocation unit is a channel for acquiring an interference information based on channel state information and the neighbor cells of the UE status information / interference information acquisition unit, and the terminal and for space separation of the terminal used by the user terminal and the on-channel nine minutes space for determining the beamforming weight vector may further include a. 이 경우, 상기 수율최대화 메트릭 생성부는 상기 채널상태정보, 상기 간섭정보 및 상기 빔형성 가중 벡터로부터 산출된 간섭량 증가 요소(IPF)를 상기 수율최대화 메트릭에 반영한다. In this case, the yield maximum metric generation unit to reflect the amount of interference increase factor (IPF) is calculated from the channel state information, the interference information and the beamforming weighted vector to yield the maximum metric. 더 구체적으로 상기 수율최대화 메트릭은 상기 단말을 할당할 경우의 서브 밴드 수율의 증가값 및 상기 단말의 할당에 따른 상기 서브 밴드에 기할당된 다른 단말의 수율의 감소값에 의해 결정되는 수율 증가 요소(RIF)가 상기 IPF보다 우선적으로 고려되도록 설정된다. Yield increase elements and more specifically to maximize the yield metric is determined by the reduced value of the yield of the other terminal is assigned based on the sub-band according to the allocation of the increased value, and the terminal of the subband yield when to allocate the terminal ( the RIF) is set to take precedence over the IPF. 또한, 본 발명은 직교주파수분할다중화(OFDM) 및 공간분할다중접속(SDMA)을 이동통신시스템에서 사용자 단말로 무선자원을 할당하는 하향링크 자원할당 장치로서, 복수의 서브 밴드에 대한 상기 단말이 할당되는 경우의 수율 증가 요소(RIF)를 획득하는 RIF 획득부, 상기 단말의 채널상태정보 및 인접 셀에 의한 간섭정보를 획득하는 채널상태/간섭정보 획득부, 상기 단말 및 상기 단말과 동일 채널을 사용하는 단말의 빔형성 가중 벡터를 결정하는 공간 구분부, 상기 채널상태정보, 상기 간섭정보 및 상기 빔형성 가중 벡터를 이용하여 상기 복수의 서브 밴드에 대한 상기 단말이 할당되는 경우의 간섭량 증가 요소(IPF)를 획득하는 IPF 획득부, 및 상기 RIF 및 상기 IPF를 이용하여 상기 복수의 서브 밴드 가운데 상기 단말로 할당할 서브 밴드를 선택하는 무선자원 In addition, the present invention provides a downlink resource allocation apparatus for allocating radio resources to the user terminal for an orthogonal frequency division multiplexing (OFDM) and spatial division multiple access (SDMA) in a mobile communication system, the UE is allocated for a plurality of subbands yield increase factor (RIF) RIF obtaining unit, the channel conditions to obtain the channel state information and the interference information according to the neighboring cell of the MS / interference-information obtaining unit, the user terminal and the use of the terminal and the on-channel for obtaining the case that increase the amount of interference when using the space dividing section, the channel state information, the interference information and the beamforming weighted vector to determine a beamforming weight vector in a terminal to which the terminal is assigned to the plurality of sub-band element (IPF ) to obtain IPF obtaining part, and using the RIF and the IPF among the plurality of sub-band radio of selecting subbands to be assigned to the terminal resources 할당부를 포함한다. Allocation, comprising: a. 상기 RIF 획득부는 상기 단말을 할당할 경우의 서브 밴드 수율의 증가값 및 상기 단말의 할당에 따른 상기 서브 밴드에 기할당된 다른 단말의 수율의 감소값을 이용하여 상기 RIF를 획득한다. RIF the acquisition unit acquires the RIF using the reduction value of the yield of the other terminals assigned to the group according to the allocation of the increased value of the yield of the sub-band case be assigned to the terminal and the terminal of the subbands. 또한, 상기 무선자원 할당부는 상기 RIF를 이용하여 상기 단말로 할당할 서브 밴드를 선택하는 수단, 및 상기 단말과 동일한 RIF를 가지는 단말이 있는 경우, 상기 IPF가 큰 단말에 우선적으로 서브밴드를 할당하는 수단을 포함한다. In addition, the radio resource assigning unit for assigning, if there is a terminal having a means for selecting a sub-band to be assigned to the mobile station using the RIF, and the same RIF and the subscriber, the IPF is preferentially sub a large terminal band and means. 한편, 본 발명은 직교주파수분할다중화(OFDM) 및 공간분할다중접속(SDMA)을 사용하는 이동통신시스템에서 사용자 단말로 무선자원을 할당하는 하향링크 자원할당 방법으로서, 복수의 서브 밴드에 대하여 상기 단말에 대한 수율 최대화 메트릭을 생성하는 단계, 상기 단말이 요구하는 상위계층 QoS 정보를 획득하는 QoS 정보 획득 단계, 상기 QoS 정보를 이용하여 QoS 메트릭을 생성하는 QoS 메트릭 생성 단계, 및 상기 수율 최대화 메트릭 및 상기 QoS 메트릭을 이용하여 상기 복수의 서브 밴드 가운데 상기 단말로 할당할 서브 밴드를 선택하는 무선자원 할당 단계를 포함한다. On the other hand, the user terminal with respect to the present invention provides a downlink resource allocation method of allocating a radio resource to the user terminal in a mobile communication system using an orthogonal frequency division multiplexing (OFDM) and spatial division multiple access (SDMA), a plurality of sub-band generating a yield maximum metric for obtaining QoS information obtaining higher layer QoS information that the mobile station is required, QoS metric generating step of generating the QoS metrics, using the QoS information, and the yield maximum metric and the using the QoS metric of the plurality of sub-band includes a radio resource allocation step of selecting a sub-band to be assigned to the mobile station. 상기 수율 최대화 메트릭을 생성하는 단계는 상기 단말을 할당할 경우의 서브 밴드 수율의 증가값 및 상기 단말의 할당에 따른 상기 서브 밴드에 기할당된 다른 단말의 수율의 감소값을 이용하여 상기 수율 최대화 메트릭을 생성하는 것을 특징으로 한다. Generating the yield maximum metric is the metric using the reduction value of the yield of the other terminal is assigned based on the sub-band according to the allocation of the increased value, and the terminal of the sub-band Yield case be assigned to the user terminal to maximize the yield characterized in that for generating a. 또한, 상기 QoS 메트릭 생성 단계는 실시간 서비스의 QoS 메트릭이 비실시간 서비스의 QoS 메트릭보다 높은 우선 순위를 갖도록 설정한다. In addition, the QoS metric generating step sets the QoS metric of the real-time services have a higher priority than the QoS metric of the non-real-time service. 상술한 본 발명의 내용은 첨부된 도면과 관련한 다음의 상세한 설명을 통하여 보다 분명해 질 것이며, 그에 따라 본 발명이 속하는 기술분야에서 통상의 지식을 가진 자가 본 발명의 기술적 사상을 용이하게 실시할 수 있을 것이다. The contents of the above-described present invention can be easily self-technical features of the present invention will become apparent from the following description of the relation, one of ordinary skill in the art accordingly with the accompanying drawings will be. 또한, 본 발명을 설명함에 있어서 본 발명과 관련된 공지 기술에 대한 구체적인 설명이 본 발명의 요지를 불필요하게 흐릴 수 있다고 판단되는 경우에 그 상세한 설명을 생략하기로 한다. Further, the detailed description of the known art related to the invention In the following description of the present invention will be omitted and a detailed description on the case that are determined to unnecessarily obscure the subject matter of the present invention. 이하, 첨부된 도면을 참조하여 본 발명에 따른 바람직한 일실시예를 상세히 설명하기로 한다. It will be described in the following, preferred embodiments of the present invention with reference to the accompanying drawings in detail. OFDM/SDMA 기반의 하향링크 자원할당 방법은 셀룰러 시스템의 셀 환경에 따라 단일 셀(Single-Cell) 환경을 위한 자원할당 방법과 다중 셀(Multi-Cell) 환경을 위한 자원할당 방법으로 나뉘어진다. Downlink resource allocation method for OFDM / SDMA-based is divided as a resource allocation method for a single-cell (Single-Cell) resource allocation method for a multi-cell environment and (Multi-Cell) environment according to a cell environment of a cellular system. 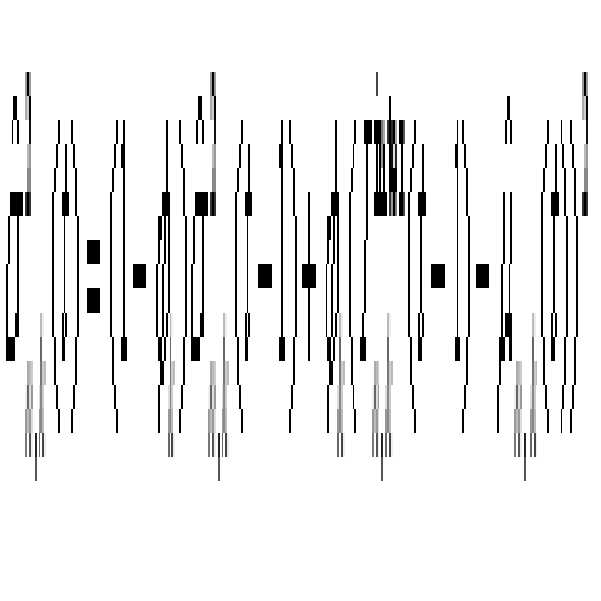 또한, OFDM/SDMA 기반의 하향링크 자원할당 방법은 성능 메트릭(Metric)을 기준으로 시스템 수율(Troughput, 사용자가 시간당 할당받는 데이터량 [kbps]) 최대화를 위한 자원할당 방법과 MAC 계층 이상의 상위 계층에서의 QoS(High Layer QoS)를 보장하기 위한 자원할당 방법으로 나뉘어진다. In addition, OFDM / SDMA-based downlink resource allocation method is the performance metric, based on the (Metric) system yields (Troughput, user data amount taking allocation per hour [kbps]) resource assignment for maximizing method and the MAC layer from an upper layer over divided into the resource allocation method for ensuring QoS (High Layer QoS). 본 발명에 따른 OFDM/SDMA 하향링크 자원할당 방법은 다중 셀(Multi-Cell) 환경을 지원하며 시스템 수율(Troughput)을 최대화하면서 상위 계층에서의 QoS(High Layer QoS)를 보장한다. OFDM / SDMA downlink resource allocation method according to the present invention supports a multi-cell (Multi-Cell) environment and ensure QoS (High Layer QoS) in an upper layer while maximizing system throughput (Troughput). 도 1은 수율 최대화 자원할당 방법에 따라 동작하는 OFDM/SDMA 기반 기지국의 일실시예 구성도이다. Figure 1 is one embodiment of the configuration of OFDM / SDMA-based base station operating in accordance with the resource allocation method maximizing yield. 도 1에 도시된 기지국은 M 개의 안테나 어레이를 가지고 K 명의 사용자에게 서비스를 제공한다. The base station shown in Figure 1 provides a service to K users have the M antenna arrays. 상기 사용자는 오직 1 개의 수신 안테나를 가진다고 가정한다. 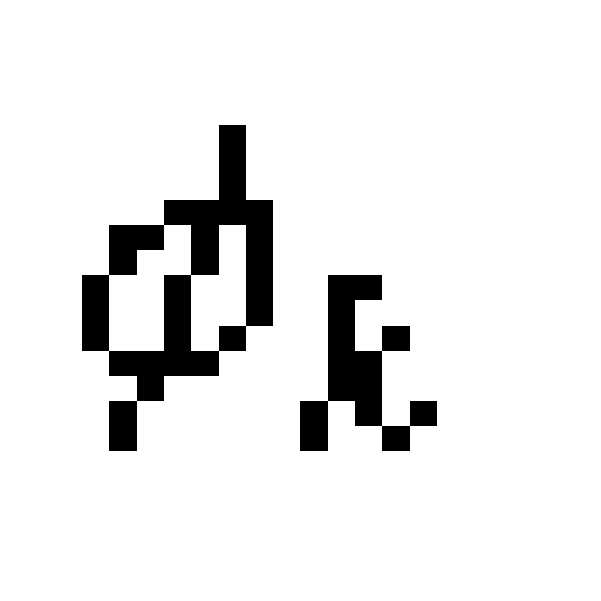 The user assumed to have only one receive antenna. 상기 기지국은 SDMA를 이용하여 하나의 채널을 사용하여 최대 M 명의 사용자에게 서비스를 제공할 수 있다. The base station can provide services to users, up to M by using the SDMA using a single channel. 상기 기지국은 도 1에 도시된 바와 같이, 서브밴드 할당부(120), 적응형 변조기(131~139), 빔형성/공간 구분부(140), 채널상태정보 획득부(170), IFFT 수행부(151~159), 싸이클릭 확장부(161~169) 및 배열 안테나(Antenna 1~M)를 포함한다. The base station as shown in Figure 1, sub-band assignment unit 120, an adaptive modulator (131-139), the beamforming / space separation unit 140, a channel state information acquisition unit (170), IFFT performing unit (151-159), and a cyclic extension (161-169) and the array antenna (antenna 1 ~ M). 상기 채널상태정보 획득부(170)는 서비스를 제공받는 사용자 단말(MS; Mobile Station)들로부터 각 서브 밴드의 채널 상태정보를 획득한다. The channel state information acquiring unit 170, the user terminal receives the service; and obtains the channel state information of each sub-band from (MS Mobile Station). 상기 서브밴드 할당부(120)는 각각의 사용자 데이터(User Data 1~k, 111~119)에 대하여 사용할 서브 밴드(서브 캐리어) 및 각각의 서브 밴드에 실릴 비트 수를 결정한다. The subband allocation section 120 determines the number of silyl bit to each of the user data (User Data 1 ~ k, 111 ~ 119) the sub-band (sub-carrier) to be used and with respect to each subband. 또한, 상기 서브밴드 할당부(120)는 상기 채널상태정보 획득부(170)로부터 전달되는 채널상태정보를 바탕으로 각 서브 밴드에 대하여 공유 가능한 사용자 군의 변조 및 코딩(MCS; Modulation and Coding Selection) 레벨을 결정한다. In addition, the subband assignment unit 120 includes a modulation and coding of the channel state information acquiring unit 170, a user group available channel state information based on a share for each sub-band transmitted from (MCS; Modulation and Coding Selection) determine the level. 상기 적응형 변조기(131~139)는 상기 서브밴드 할당부(120)에서 할당된 각각의 서브 밴드별로 상기 결정된 MCS 레벨에 근거하여 동일 채널(Co-Channel) 사용자에 할당된 비트에 맞는 적응 변조를 수행한다. The adaptive modulator (131-139) is an adaptive modulation for the bit assigned to the same channel (Co-Channel) user based on the determined MCS level above for each sub-band is assigned in the sub-band assignment unit 120 performed. 상기 빔형성/공간 구분부(140)는 상기 채널상태정보 획득부(170)로부터 전달되는 채널상태정보를 바탕으로 각 서브 밴드에 대하여 공유 가능한 사용자 군을 선정한다. The beamforming / space separation unit 140 selects a user group to share available for each sub-band based on the channel state information transmitted from the acquisition unit 170, the channel state information. 그리고 선정된 사용자 군에 대한 정보를 상기 서브밴드 할당부(120)로 전달한다. And it conveys information about the selected user group on a sub-band allocation section 120. 한편, 상기 빔형성/공간 구분부(140)는 상기 적응형 변조기(131~139)의 출력 신호를 입력받아, 동일 채널 사용자의 공간 구분을 위한 빔형성 가중 벡터(Beamforming Weight Vector)를 결정한다. On the other hand, the beam forming / space separation unit 140 receives the output signal from the adaptive modulator (131-139), determines the beamforming weight vector (Beamforming Weight Vector) for the spatial separation of co-channel users. 상기 IFFT 수행부(151~159)는 상기 적응변조기(131~130)의 출력 신호 및 상기 빔형성 가중 벡터 정보를 입력받아 IFFT 변환을 수행하며, 상기 싸이클릭 확장부(161~169)는 상기 IFFT 수행부(151~159)의 출력 신호에 대하여 보호 구간(Guard Interval)을 삽입하는 등의 순환 확장(Cylic Extention)을 수행하여 안테나를 통해 사용자 단말(MS; Mobile Station)로 송신한다. The IFFT performing unit (151 ~ 159) is the output signal, and performs an IFFT conversion receiving the beamforming weight vector information, the cyclic extension (161-169) of the adaptive modulator (131-130) is the IFFT the execution unit performs the guard interval with respect to the output signal of the (151-159) for inserting a cyclic extension such as (Guard interval) (Cylic Extention) by via-antenna user terminal; and transmits the (MS Mobile station). 사용자 k의 n번째 서브 밴드의 주파수 영역 신호대간섭 잡음비(SINR; Signal to Interference and Noise Ratio)는 아래의 [수학식 1]과 같다. 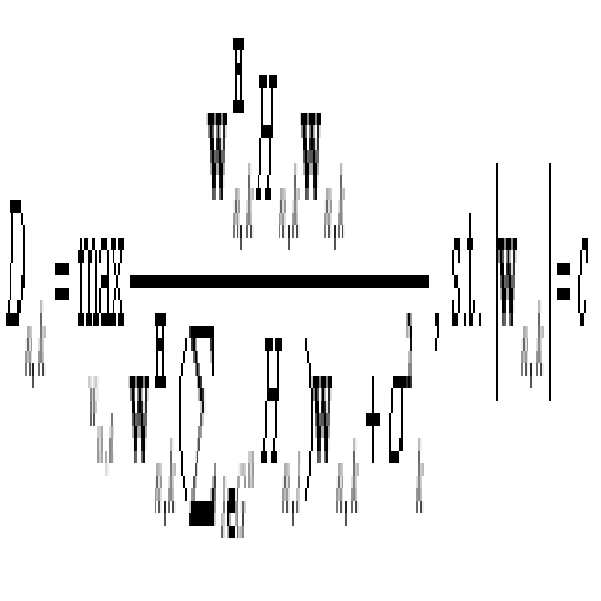 Signal-to-frequency domain of the user k n th sub-band of the interference noise ratio (SINR; Signal to Interference and Noise Ratio) is shown in Equation 1 below. 상기 [수학식 1]에서 SINR의 분자는 원하는 신호 성분을 나타내며, H n ,k 는 상기 채널상태정보획득부(170)에서 획득된 각 사용자 k의 공간적 공분산(SC; Spatial Covariance) 매트릭스에 해당하는 채널상태정보다. 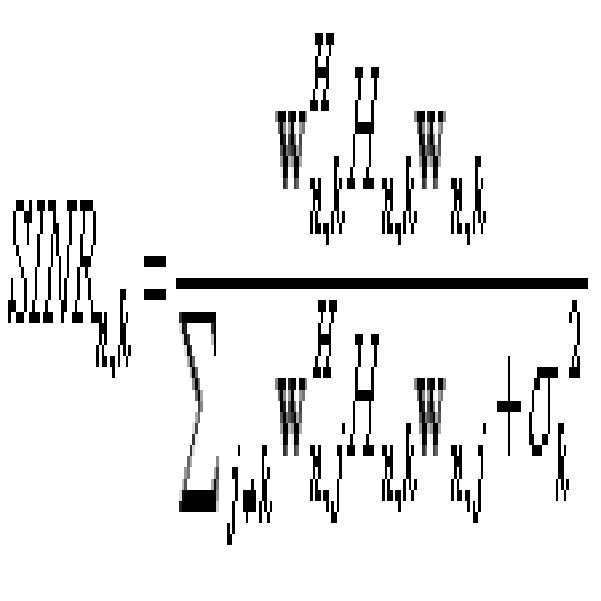 The Equation 1 molecules of the SINR at represents the desired signal component, H n, k is the channel state information acquiring unit 170, the spatial covariance of each user k obtained in; for the (SC Spatial Covariance) matrix the channel state information. 또한, SINR의 분모에서 첫 번째 요소는 동일한 서브 밴드를 사용하는 동일 채널 사용자들에 의한 간섭을 의미하며, 두 번째 요소는 사용자 k의 부가적 백색 가우시안 잡음(AWGN; Additive Gaussian Noise)를 의미한다. 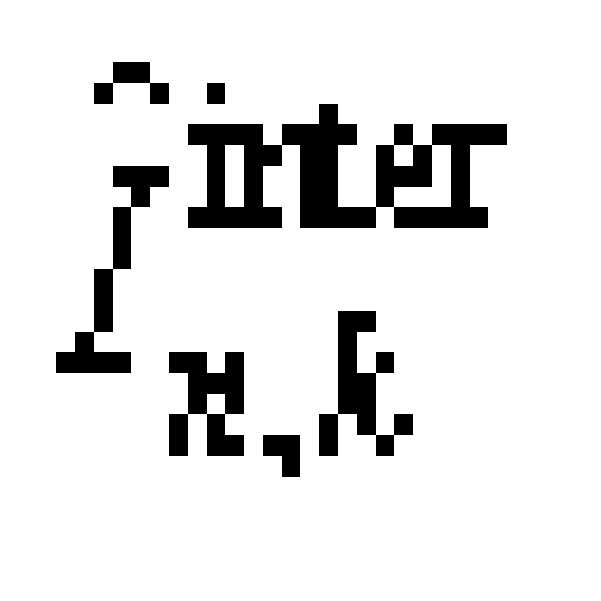 In addition, the first element in the denominator of the SINR refers to the interference caused by the co-channel users of the same sub-band, and the second element is additive white Gaussian noise of the user k; means (AWGN Additive Gaussian Noise). w n ,k 는 사용자 k가 서브 밴드 n을 사용할 경우 이용하게 될 빔형성 벡터 [w 1 n ,k , ... ,w M n ,k ] T 를 의미한다. w n, k means the case where the user k for the n sub-band beamforming vector to be utilized [w 1 n, k, ... , w M n, k] T. w H n ,k 는 상기 빔형성 벡터의 전 치 켤레(Transpose Conjugate, Hermitian)를 의미한다. 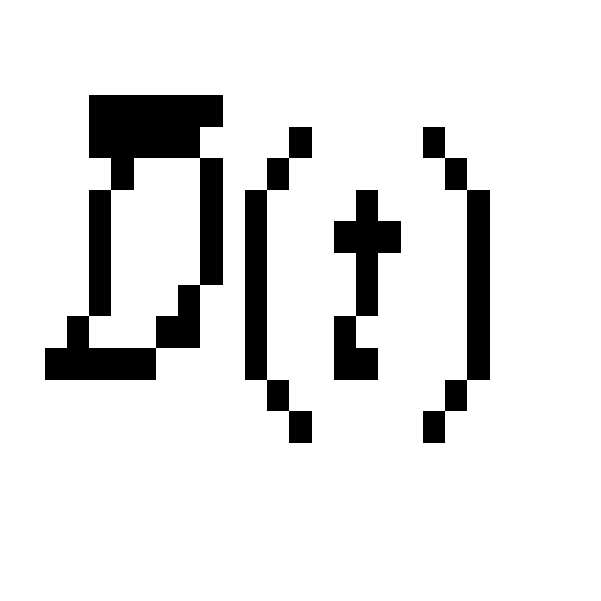 w H n, k means the former value pair (Transpose Conjugate, Hermitian) of the beamforming vector. 시스템 수율 최적화를 위한 SDMA 기반 자원할당 방법은 간섭량증가측정요소(IPF; Interference Preference Factor) 및 수율증가측정요소(RIF; Rate Increment Factor)의 2가지 성능 메트릭(Metric)을 고려하여 최적 자원 할당을 수행한다. SDMA-based resource allocation method for a system yield optimization is the amount of interference increases measurement element perform optimal resource allocation in consideration of the two performance metrics (Metric) of;; (Rate Increment Factor RIF) (IPF Interference Preference Factor) and yield increase measurement element do. 우선, 상기 간섭량증가측정요소(IPF)는 '기지국 스케쥴러가 사용자 k에게 서브 밴드 n을 할당하는 경우 자신의 신호와 동일 채널 사용자에 의한 간섭의 비' 및 '기지국 스케쥴러가 사용자 k에게 서브 밴드 n을 할당할 경우 서브 밴드 n을 할당받은 기존의 사용자가 겪는 간섭량의 증가분'을 이용하여 계산된다. First, the amount of interference increases measuring element (IPF) is the sub-band, and "base station scheduler to a user k n, the base station scheduler own signal and the non-interference by the user, the co-channel when assigning the sub-band n to a user k ' If the assignment is computed using the sub-band n is incremental, the amount of interference experienced by the existing users assigned to. 상기 '기지국 스케쥴러가 사용자 k에게 서브 밴드 n을 할당하는 경우 자신의 신호와 동일 채널 사용자에 의한 간섭의 비'는 아래의 [수학식 2]와 같이 표현된다. The "base station scheduler is the interference caused by their signal with co-channel users when assigning the user k for subband n ratio" is expressed as Equation 2 below. 아래의 [수학식 2]에서, c는 상수이며, G n In Equation (2) below, c is a constant, G n 은 이미 서브 밴드 n을 점유하고 있는 사용자들의 집합이다. Is already a set of users occupying the sub-band n.
한편, '사용자 k가 서브 밴드 n을 공유하기 전에 사용자 i가 서브 밴드 n으 로부터 겪게 되는 간섭량'은 아래의 [수학식 3]으로 표현되며, '사용자 k가 서브 밴드 n을 공유할 경우의 사용자 i가 서브 밴드 n으로부터 겪게 되는 간섭량'은 아래의 [수학식 4]와 같이 표현된다. 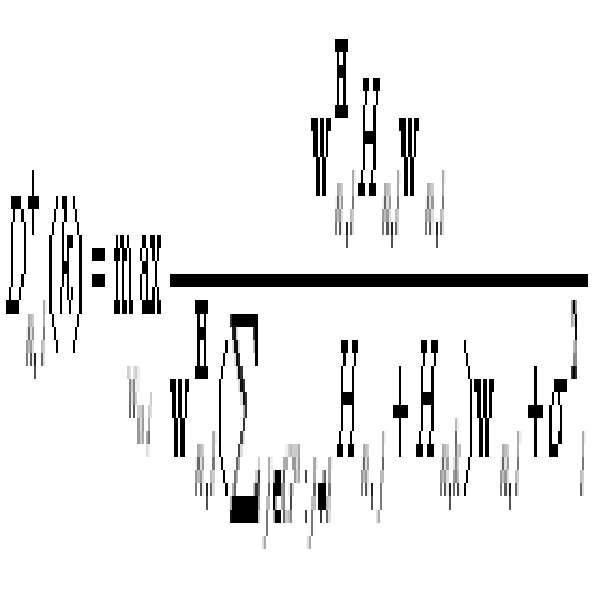 On the other hand, users in the case where the "user k is the subband n user i is the sub-band interference experienced from n coming before Share" is expressed by Equation 3 below, "user k can share the sub-band n i is the amount of interference experienced from the sub-band n 'is expressed as equation 4 below. 상기 간섭량증가측정요소(IPF)는 상기 [수학식 2] 내지 [수학식 4]를 토대로 아래의 [수학식 5]와 같이 표현된다. 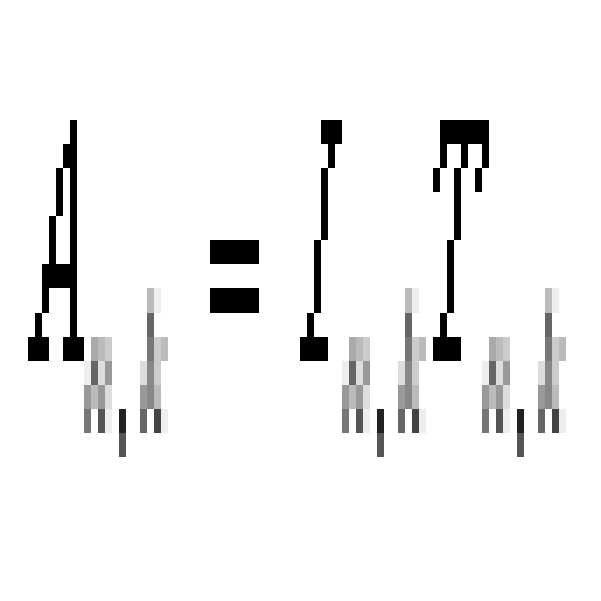 The increased amount of interference measuring element (IPF) is expressed as Equation 5 below based on the [Equation 2] to [Equation 4]. 상기 [수학식 5]를 참조하면 상기 간섭량증가측정요소(IPF)는 자신의 SIR값이 클수록 그리고 자신이 다른 사용자에게 미치는 간섭량의 증가분이 작을수록 메트릭 값이 증가함을 알 수 있다. Referring to Equation 5] The amount of interference increases measuring element (IPF) is the greater their SIR values ​​and the more they are smaller the increment of the amount of interference on other users can be seen that a metric value increase. 채널의 할당은 상기 IPF 값이 큰 사용자 순서로 이루어지게 된다. Allocation of channels is the IPF value will be written to a large user order. 다음으로, 수율증가측정요소(RIF; Rate Increment Factor)는 아래의 [수학식 6]과 같이 표현된다. 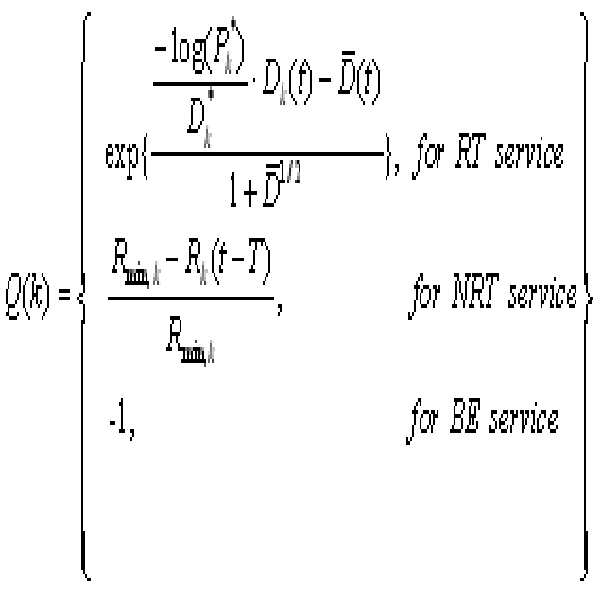 Next, the yield increased measuring element (RIF; Increment Rate Factor) is expressed as Equation 6 below. 는 k번째 사용자로 인하여 증가된 간섭량의 증가로 인하여 감소된 사용자 i의 수율의 감소분을 의미한다. It means a decrease of the yield of the reduced due to an increase in the amount of interference increases due to the k-th user User i. 상기 RIF 값이 0보다 커야 채널의 할당이 이루어질 수 있다. The RIF value is may be made to assign the channel must be greater than zero. 시스템 수율 최적화를 위한 OFDM/SDMA 기반 자원할당 방법을 메트릭(APF)는 상기 간섭량증가측정요소(IPF) 및 수율증가측정요소(RIF)를 고려하여 아래의 [수학식 7]과 같이 설계될 수 있다. OFDM / SDMA-based resource how the metric (APF) allocation for the system throughput optimization may be designed as shown in Equation 7 below, by considering the amount of interference increases measuring element (IPF) and the yield increased measuring element (RIF) . 우선, 채널상태정보 획득부(170)에서 각각의 사용자 단말(MS; Mobile Station)에 대한 채널상태정보인 서브 밴드 SC(Spatial Covariance) 매트릭스들을 획득한다(S210). First, each user equipment in the channel state information acquiring section 170; to obtain (MS Mobile Station), the channel state information of the sub-band SC (Spatial Covariance) of the matrix (S210). 초기에는 모든 서브 밴드가 각 사용자들에게 할당 가능하다. Initially, all the sub-bands can be allocated to each user. 이어서, 빔형성/공간 구분부(140)에서는 상기 SC 매트릭스를 이용하여 [수학식 7]로 표현되는 APF를 계산하며, 상기 서브밴드 할당부(120)는 각각의 서브 밴드에 대하여 상기 APF가 가장 큰 사용자들을 각 서브 밴드에 할당한다(S220). Then, in the beam forming / space separation unit 140 by using the SC matrix calculates the APF is expressed by [Equation 7], the subband assignment section 120 is the APF most for each subband allocates a large user in each sub-band (S220). 상기 빔형성/공간 구분부(140)는 상기 채널 할당으로 인하여 변경된 동일 채널 사용자들의 APF를 업데이트한다(S230). The beamforming / space separation unit 140 updates the APF of co-channel users is changed due to the assigned channel (S230). 이후, 각 서브 밴드에 대하여 전송 안테나 수만큼 사용자를 할당했거나 더 이상 SDMA로 인한 이득이 없는 경우, 상기 서브밴드 할당부(120)는 할당 가능 리스트에서 해당 서브 밴드를 제거한다(S240). Then, to remove the sub-band when there is no gain as transmission antennas or assign a user due to more than SDMA, for each subband, said subband assignment unit 120 may assign at the free list (S240). SDMA로 인한 이득이 없는 경우라 함은 각 서브 밴드에 대하여 할당된 모든 사용자들의 RIF가 0이하인 경우를 의미한다. If there is no gain caused by SDMA referred to means the case where the RIF of all users assigned to each sub-band less than or equal to zero. 이어서, 할당 가능 리스트가 남아있는 경우에는 상기 단계 S220으로 리턴하며, 할당 가능 리스트가 남아있지 않는 경우에는 각각의 사용자에게 할당된 자원을 통하여 다음 프레임 구간 전까지 패킷을 전송한다(S250, S260). Then, if the free list is assigned remains in the case, and that is returned to the step S220, the assignment is not left in the free list and transmits the next packet until the frame period by the resources allocated to each user (S250, S260). 이하, 상위 계층(High Layer) QoS 보장을 위한 SDMA 기반 자원할당 방법을 살펴본다. Below, it looks at the SDMA-based resource allocation method for an upper layer (High Layer) QoS guarantee. 서비스를 제공받는 사용자는 각각 서로 다른 종류의 트래픽을 요구할 수 있으며, 각각의 트래픽에 따라 고려하여야 할 다양한 QoS 파라미터들이 존재한다. The user receives the service may require each of the different types of traffic, and there are a variety of QoS parameters to be considered for each of the traffic. 하지만 수율 향상만을 고려하여 자원을 할당하는 경우 MAC 계층 이상의 상위 계층에서의 QoS를 대변하는 각 사용자에 대한 기지국 버퍼 점유(Buffer Occupancy) 및 사용자의 요구 트래픽 특성이 무시된 자원 할당을 초래하여 전체 시스템의 성능을 열화시키게 된다. However, the results in the resources allocated by the base station buffer occupancy (Buffer Occupancy), and the user's request traffic characteristics ignored for each user representing the QoS of the case of allocating resources by considering only yield higher MAC layer, or more layers of the entire system thereby degrading the performance. 사용자에게 제공되는 서비스는 High Layer QoS 파라미터를 기준으로 아래와 같이 분류될 수 있다. Services provided to the user can be classified as follows based on the High Layer QoS parameters. 우선, 화상 회의와 같은 실시간 서비스는 도달하는 패킷들의 지연 제한(Delay Bound)가 엄격하게 정해져 있으며, 기지국에서 큐 길이(Queue Length)를 적절하게 조절하여 패킷 드롭 비율을 일정하게 유지해야 하는 엄격한 QoS 요구 사항을 가진 서비스이다. First, real-time services such as video conferencing, the delay limit of the packet to reach (Delay Bound) are defined strictly, and stringent QoS requirements to appropriately control the queue length (Queue Length) from the base station must maintain a constant packet drop rate a service with the requirements. 또한, VOD(Video On Demand)와 같은 비실시간 서비스는 비록 실시간 서비스와 같은 엄격한 QoS 요건을 요하지는 않지만, 각 사용자에게 최소 전송율(Minimum Transmission Rate)을 보장하여야만 서비스가 가능하다. In addition, non-real-time services, such as VOD (Video On Demand), though not requiring the stringent QoS requirements such as real-time service, the service is available hayeoyaman guaranteed minimum rate (Minimum Transmission Rate) for each user. 마지막으로, FTP와 같은 Best Effort 서비스는 특별한 상위 계층 QoS 파라미터를 고려할 필요가 없는 서비스이다. Finally, Best Effort services such as FTP is no need to consider the special upper layer QoS parameters services. 이러한 상위계층(High Layer) QoS를 보장하기 위한 자원할당 방법을 위한 메트릭은 상위 계층 QoS 파라미터를 고려하여 아래의 [수학식 8] 내지 [수학식 9]와 같이 설계할 수 있다. 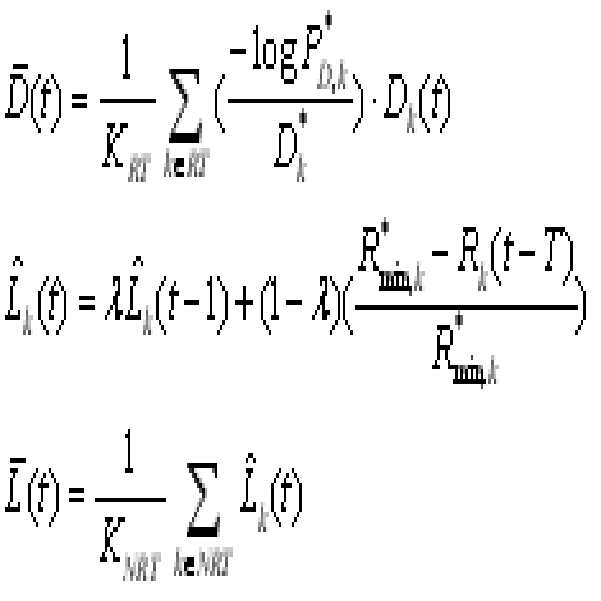 Metric for the resource allocation method for ensuring such an upper layer (High Layer) QoS can be designed as shown in Equation 8] to [Equation 9] below in consideration of the higher layer QoS parameters. 의 평균값이다. Is the mean value. K RT K RT 와 K NRT And K NRT 는 실시간(RT) 서비스 및 비실시간(NRT) 서비스를 요청한 사용자의 수를 의미한 다. Real-time (RT) and non real-time service is one means many users requested (NRT) services. 한편, 실시간 서비스(Real Time Service)가 비실시간 서비스에 비해 높은 우선 순위를 유지할 수 있도록 아래의 [수학식 10]과 같은 메트릭이 추가적으로 제시될 수 있다. 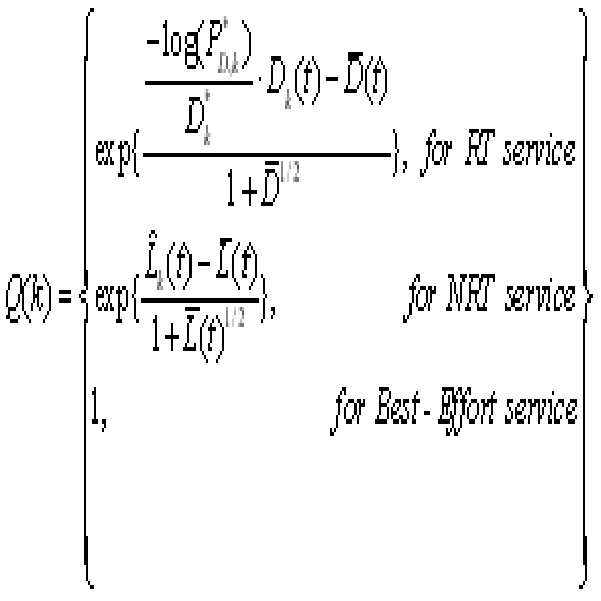 On the other hand, a metric, such as [Equation 10], the following can be presented in addition to the real-time service (Real Time Service) to maintain a higher priority than non-real-time service. 아래의 [수학식 10]에서 ρ RT 는 ρ NRT In the equation (10)] below, ρ is ρ RT NRT 보다 크게 설정된다. It is set to be larger than that. 상기 [수학식 8] 내지 [수학식 10]과 같이 High Layer QoS 파라미터를 사용하여 설계된 메트릭을 자원 할당시에 고려하는 경우, 각각의 사용자가 요구하는 서로 다른 트래픽에 대한 QoS를 맞추어 자원을 할당할 수 있게 된다. The formula 8] to when considering a metric designed using a High Layer QoS parameters as shown in [Equation 10] at the time of resource allocation, according to QoS for different traffic for each user is required to allocate resources It can be so. 이하, 인접 셀 간 간섭을 고려하기 위한 SDMA 기반 자원 할당 방법에 대하여 살펴본다. Look for the SDMA-based resource allocation method to account for the following, between the inter-cell interference. SDMA를 구현하기 위해서는 각각의 사용자에 대한 빔형성 벡터를 형성하여 하며, 상기 빔 형성 벡터를 형성하기 위하여는 기지국에서 사용자 채널 특성을 알아야 한다. In order to implement SDMA and to form a beamforming vector for each user, the user must know the channel characteristics from the base stations to form the beamforming vectors. 다중 셀 환경에서는 각 사용자로부터 들어오는 간섭이 존재하므로, 각각의 사용자는 자신의 채널 값뿐만이 아니라 인접 셀에 의한 간섭량 정보를 기지국으로 전송한다. In a multi-cell environment, because the presence of interference coming from each user, each user transmits the interference information according to the neighbor cell as well as their channel value to the base station. 각각의 섹터는 프레임 단위로 자원할당이 이루어지므로, 인접 셀로부터 들어오는 간섭은 프레임 단위로 랜덤하게 들어오게 된다. 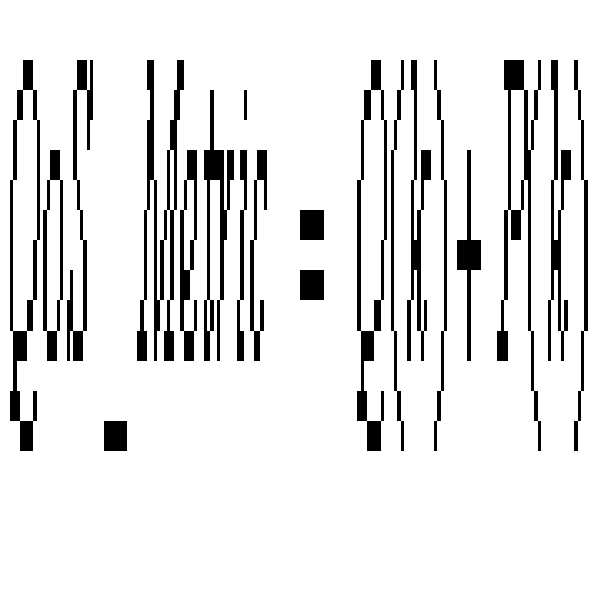 Each sector because the resource allocation performed in units of frames, the interference coming from the adjacent cells is let at random in units of frames. 따라서, 각 사용자 단말은 인접 셀에 의한 간섭량의 평균 및 표준 편차를 측정하여 기지국으로 전송한 다. Thus, the each user terminal is transferred by measuring the mean and standard deviation of the amount of interference caused by adjacent cells to the base station. 사용자 k의 서브 밴드 n에 대한 인접 셀에 의한 간섭량의 평균 및 표준 편차는 아래의 [수학식 11] 및 [수학식 12]와 같이 표현된다. 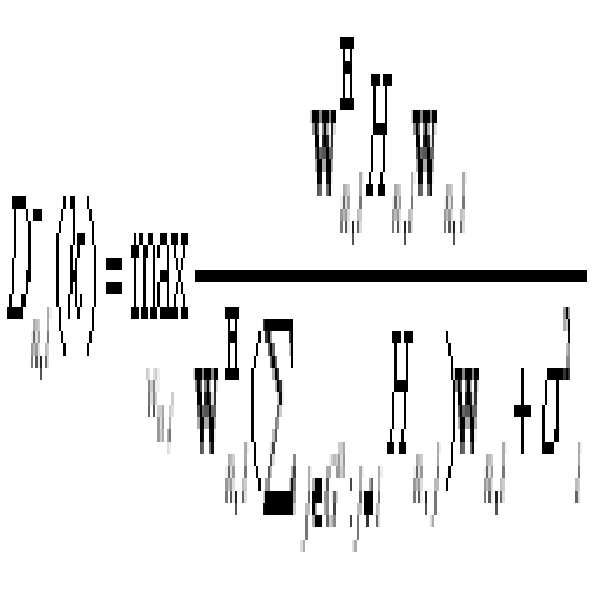 The average and standard deviation of the amount of interference caused by neighboring cell for a user k sub-band n is expressed as [Equation 11] and [equation 12] below. 는 사용자 k의 서브 밴드 n에서의 순시 인접 셀 간섭을 의미한다. 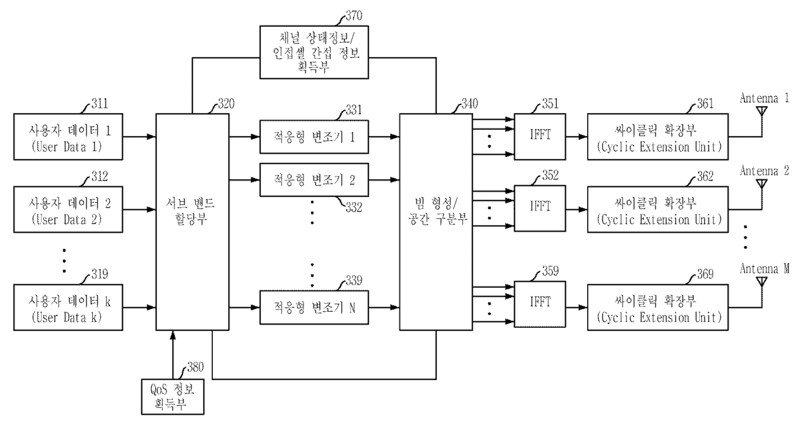 Means an instantaneous inter-cell interference at the user k subband n.
기지국의 상기와 같이 사용자 단말로부터 제공되는 인접 셀 간섭량의 평균 및 표준 편차를 토대로 빔형성 벡터를 구하고 자원 할당을 수행하는 경우, 시스템의 타겟 패킷 오류율(PER; Packet Error Rate) 성능의 열화 없는 데이터 전송이 가능하다. When on the basis of the mean and standard deviation of the adjacent cell interference amount provided by the user terminal as described above, the base station obtains the beamforming vector perform resource allocation, the target packet error rate of the system (PER; Packet Error Rate) deterioration-free data transfer performance this is possible. 도 3은 본 발명에 따른 자원할당 방법에 따라 동작하는 OFDM/SDMA 기지국의 일실시예 구성도이다. Figure 3 is one embodiment of the configuration of OFDM / SDMA base station operating in accordance with the resource allocation method according to the present invention. 상기 본 발명에 따른 OFDM/SDMA 하향링크 자원할당 방법은 다중 셀(Multi-Cell) 환경을 지원하며 시스템 수율(Troughput)을 최대화함과 동시에 상위 계층에 서의 QoS(High Layer QoS)를 보장한다. OFDM / SDMA downlink resource allocation method according to the present invention supports a multi-cell (Multi-Cell) environment and ensures at the same time as maximizing the system throughput (Troughput) QoS (High Layer QoS) of in the upper layer. 도 3에 도시된 기지국은 도 1의 기지국과 마찬가지로 M 개의 안테나 어레이를 가지고 K 명의 사용자에게 서비스를 제공한다. And the base station shown in Figure 3 provides a service to K users have the M antenna array, like the base station of Figure 1; 상기 사용자는 오직 1 개의 수신 안테나를 가진다고 가정한다. 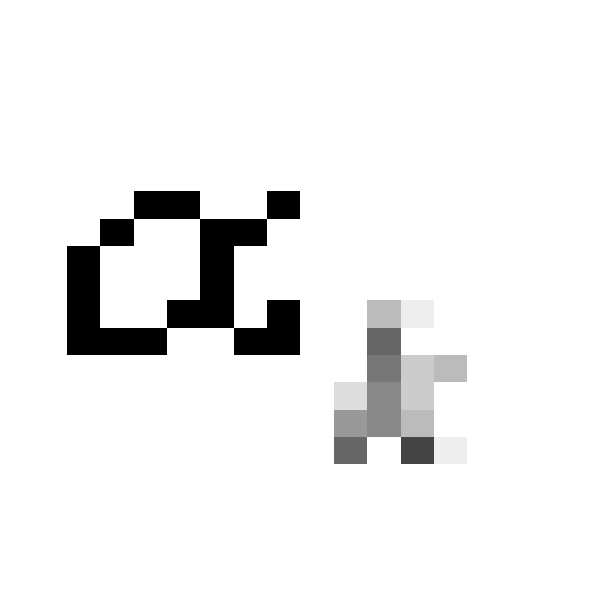 The user assumed to have only one receive antenna. 상기 기지국은 SDMA를 이용하여 하나의 채널을 사용하여 최대 M 명의 사용자에게 서비스를 제공할 수 있다. The base station can provide services to users, up to M by using the SDMA using a single channel. 상기 채널상태정보/인접셀간섭정보 획득부(370)는 서비스를 제공받는 사용자 단말(MS; Mobile Station)들로부터 각 서브 밴드의 채널 상태정보 및 인접셀 간섭정보를 획득한다. The CSI / inter-cell interference information acquisition unit 370, the user terminal receives the service; and obtains the channel state information and the neighbor cell interference information for each sub-band from (MS Mobile Station). 상기 채널 상태정보는 해당 서브 밴드(n)에서 기지국 안테나와 사용자(k) 간의 공간 및 시간 특성을 나타내는 공분산 매트릭스(Spatial Covariance Matrix) 정보를 포함한다. And the channel state information comprises the sub-bands (n) the base station antenna and the covariance matrix (Spatial Covariance Matrix) information indicating the spatial and temporal characteristics between a user (k) in the. 상기 인접셀 간섭정보는 각 사용자 단말의 인접 셀에 의한 간섭량의 평균 및 표준 편차 정보를 포함한다. And the inter-cell interference information comprises an average and standard deviation information of the amount of interference caused by neighboring cells in each of the user nodes. 상기 QoS 정보 획득부(380)는 사용자 단말이 요구하는 QoS 파라미터를 획득한다. The QoS information obtaining unit 380 obtains the QoS parameter required by the user terminal. 상기 QoS 파라미터는 실시간 서비스의 QoS 파라미터인 패킷 손실율 및 패킷 지연 제한(Delay Bound) 파라미터, 및 비실시간 서비스의 QoS 파라미터인 최소 데이터 전송율(Minimum Transmission Rate)를 포함한다. And the QoS parameters include the QoS parameters of the packet loss rate of the real-time service and packet delay constraints (Delay Bound) parameters, and QoS parameters of a minimum data rate of the non-real-time service (Minimum Transmission Rate). 또한, 상기 QoS 정보 획득 부(380)는 상기 QoS 파라미터를 이용하여 QoS 메트릭(QoS_Metric)을 생성한다. In addition, the QoS information acquisition unit 380 generates a QoS metric (QoS_Metric) by using the QoS parameters. 상기 QoS 메트릭은 서브 밴드 할당부(320)에서 자원 할당시 사용자 단말이 요구하는 트래픽 특성을 고려하도록 하기 위한 메트릭이다. The QoS metric is a metric to consider the traffic characteristics of the user terminal is required for resource allocation in a sub-band allocation section 320. 상기 빔형성/공간 구분부(340)는 상기 채널상태정보/인접셀간섭정보 획득부(370)로부터 전달되는 채널 상태정보와 인접셀 간섭정보를 바탕으로 각 서브 밴드에 대하여 공유 가능한 사용자 군을 선정하고 공간 구분을 위한 빔형성 가중 벡터를 결정한다. The beamforming / space separation unit 340 is selected for the channel state information / neighbor cell channel state information to share with the user group for each sub-band based on the inter-cell interference information is transmitted from the interference-information obtaining unit 370 and it determines the beamforming weight vector for the spatial classification. 상기 빙형성/공간 구분부(340)는 상기 채널 상태정보와 인접셀 간섭정보를 이용하여 멀티 셀 환경에서의 인접 셀 간섭정보가 고려된 간섭량증가측정요소(IPF)를 계산한다. The ice formation / space separation unit 340 calculates the neighboring cell interference measurement information is taken into account the amount of interference increase factor (IPF) in the multi-cell environment by using the cell interference information adjacent to the channel state information. 또한, [수힉식 6]을 이요하여 수율증가측정요소(RIF)를 계산한다. Also, it is the [number hiksik 6] to calculate the yield increased measuring element (RIF). 그리고 상기 간섭량증가측정요소(IPF) 및 수율증가측정요소(RIF)를 이용하여 인접 셀 간섭이 고려된 수율최대화메트릭(TM_Metric)을 생성한다. And it generates a metric (TM_Metric) maximizing yield of the adjacent cell interference by using the measured interference quantity increase factor (IPF) and the yield increased measuring element (RIF) considered. 상기 서브밴드 할당부(320)는 각각의 사용자 데이터(User Data 1~k, 311~319)에 대하여 사용할 서브 밴드(서브 캐리어) 및 각각의 서브 밴드에 실릴 비트 수를 결정하며, 상기 각각의 서브 밴드에 대하여 공유 가능한 사용자 군의 변조 및 코딩(MCS; Modulation and Coding Selection) 레벨을 결정한다. The sub-band assignment unit 320 each of the user data (User Data 1 ~ k, 311 ~ 319) the sub-band (sub-carrier) to be used with respect to, and determines the number of silyl bit for each subband, each of the sub determines a; (modulation and coding Selection MCS) level modulation and coding of the shareable user group with respect to the band. 상기 서브밴드 할당부(320)는 상기 QoS 정보 획득부(380)에서 생성된 QoS 메트릭(QoS_Metric) 및 상기 빔형성/공간 구분부(340)에서 생성된 수율최대화메트릭(TM_Metric)으로부터 혼합 메트릭(Unified Metric)을 생성하며, 생성된 혼합 메트릭을 이용하여 사용자 데이터에 대한 자원(서브 밴드)을 할당한다. The sub-band assignment unit 320 is mixed metric from the yield maximized metric (TM_Metric) produced by the QoS metric (QoS_Metric) and the beam forming / space separation unit 340, generated by the acquisition unit 380, the QoS information (Unified generating a metric), and using the resulting mixture metric to allocate a resource (sub-band) for the user data. 상기 적응형 변조기(331~339)는 상기 서브밴드 할당부(320)에서 할당된 각각 의 서브 밴드에 대하여 상기 결정된 MCS 레벨에 근거하여 동일 채널(Co-Channel) 사용자에 할당된 비트에 맞는 적응 변조를 수행한다. The adaptive modulator (331-339) is an adaptive modulation for the bit assigned to the same channel (Co-Channel) user based on the determined MCS level for each sub-band is assigned in the sub-band assignment unit 320 to be carried out. 상기 IFFT 수행부(351~359)는 상기 빔형성/공간 구분부(340)에서 결정된 빔형성 가중 벡터 정보를 입력받아 상기 적응변조기(331~330)의 출력 신호에 대하여 IFFT 변환을 수행하며, 상기 싸이클릭 확장부(361~369)는 상기 IFFT 수행부(351~359)의 출력 신호에 대하여 보호 구간(Guard Interval)을 삽입하는 등의 순환 확장(Cylic Extention)을 수행하여 안테나를 통해 사용자 단말(MS; Mobile Station)로 송신한다. And the IFFT performing unit (351-359) receives the beamforming weight vector information determined by the beam forming / area dividing section 340 performs an IFFT conversion on the output signal from the adaptive modulator (331-330), the cyclic extension (361-369) the user terminal through an antenna by performing a cyclic extension (Cylic Extention), such as inserting a guard interval (Guard interval) with respect to the output signal of the IFFT performing unit (351 ~ 359) ( and transmits it to the Mobile Station); MS.
이하, 빔 형성/공간 구분부(340)가 상기 채널상태정보/인접셀간섭정보 획득부(370)로부터 전달된 채널 상태정보 및 인접셀 간섭정보를 이용하여 인접셀 간섭이 고려된 수율최대화메트릭(TM_Metric)을 생성하는 방법을 설명한다. Hereinafter, the beamforming / space separation unit 340 is the channel state information / inter-cell interference information is channel state information and the neighboring cell is the cell interfere the adjacent using the interference information considering yield maximum metric delivered from the pickup unit 370 ( It describes a method for generating a TM_Metric). 우선, 상기 채널 상태정보 및 인접셀 간섭정보를 이용한 간섭량증가측정요소(IPF; Interference Preference Factor)의 산출 방법을 설명한다. First, the channel state information and adjacent cell interference amount measurement element increased by the interference information; describes a method of calculating the (IPF Interference Preference Factor). 상기 간섭량증가측정요소(IPF)는 '기지국 스케쥴러가 사용자 k에게 서브 밴드 n을 할당하는 경우 자신의 신호와 동일 채널 사용자에 의한 간섭의 비' 및 '기지국 스케쥴러가 사용자 k에게 서브 밴드 n을 할당할 경우 서브 밴드 n을 할당받은 기존의 사용자가 겪는 간섭량의 증가분'을 이용하여 계산되는데, 이때 '사용자 k의 n번째 서브 채널이 겪는 인접 셀 간섭 예측량'이 고려된다. The amount of interference increases measuring element (IPF) is a "base station scheduler user k to the case of allocating the sub-band n own signal and the non-interference by the user, the on-channel" is and "base station scheduler to assign to the user k for subband n If 'are calculated using, this time, the sub-band n is the increase in the amount of interference experienced by the existing users assigned to the inter-cell interference yecheukryang' experienced by the n-th sub-channel of the user k into consideration. 는 사용자 k의 서버 밴드 n의 인접셀 간섭의 표준 편차를 고려하기 위한 변수이다. 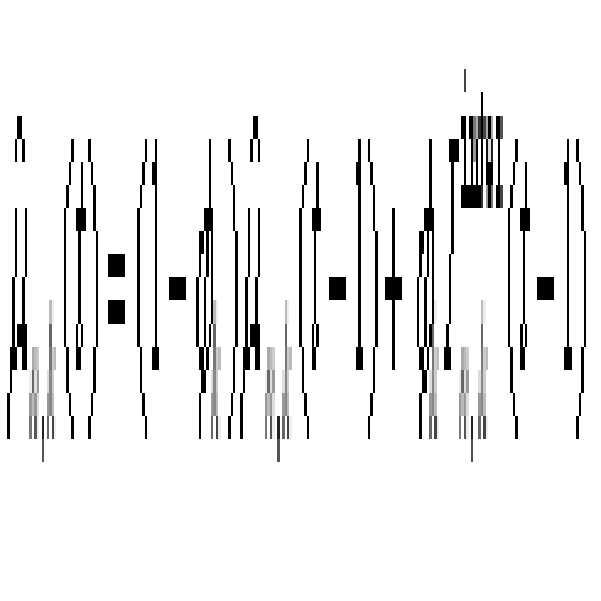 It is a variable to consider the standard deviations of the neighboring-cell interference of the user k on the server band n.
상기 '기지국 스케쥴러가 사용자 k에게 서브 밴드 n을 할당하는 경우 자신의 신호와 동일 채널 사용자에 의한 간섭의 비'는 아래의 [수학식 14]과 같이 표현된다. The "base station scheduler is the ratio of interference caused by co-channel users and their signal when assigning the user to a subband k n 'can be expressed as formula (14) below. 상기 [수학식 14]에서 분자는 원하는 신호 성분을 나타내며, H n ,k 는 상기 채널상태정보/인접셀간섭정보 획득부(370)에서 획득된 각 사용자 k의 공간적 공분산(SC; Spatial Covariance) 매트릭스에 해당하는 채널상태정보다. The formula (14) molecules in represents the desired signal component, H n, k is the channel state information / inter-cell interference of the spatial covariance of each user k obtained at the information obtaining unit (370) (SC; Spatial Covariance ) matrix corresponding to the channel state information. 또한, 분모에서 첫 번째 요소는 동일한 서브 밴드를 사용하는 동일 채널 사용자들에 의한 간섭을 의미하며, 두 번째 요소는 사용자 k의 부가적 백색 가우시안 잡음(AWGN; Additive Gaussian Noise)를 의미한다. 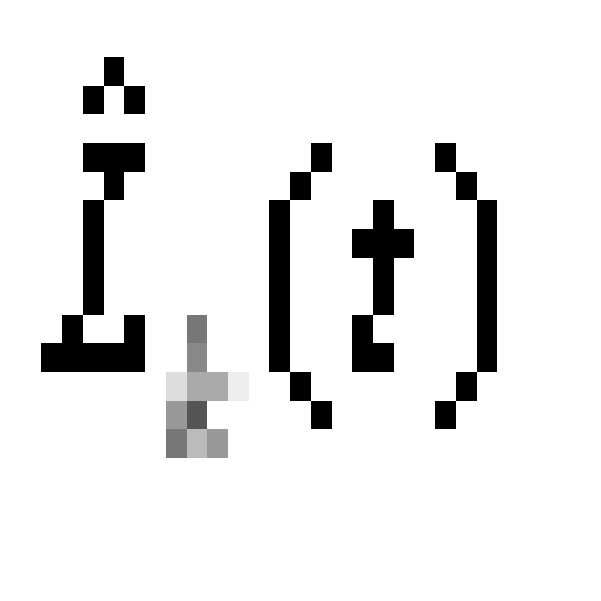 In addition, the first element in the denominator refers to the interference caused by the co-channel users of the same sub-band, and the second element is additive white Gaussian noise of the user k; means (AWGN Additive Gaussian Noise). 는 사용자 k의 n번째 서브 채널이 겪는 인접 셀 간섭 예측량'이다. 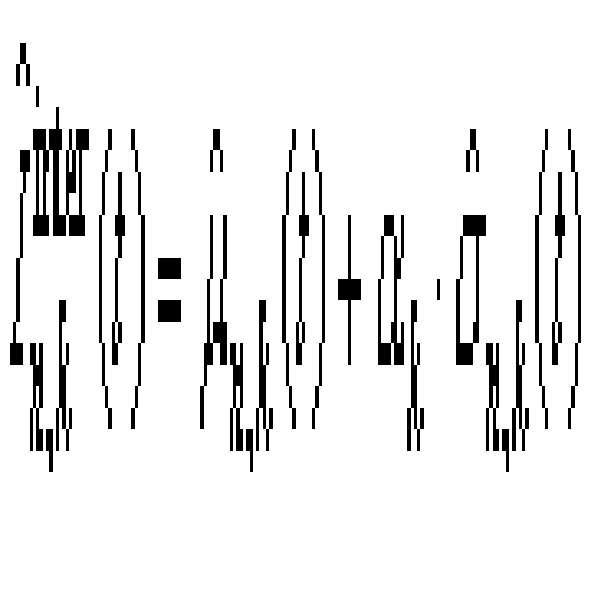 It is a cell interference yecheukryang 'adjacent experienced by the n-th sub-channel of the user k.
w n ,k 는 사용자 k가 서브 밴드 n을 사용할 경우 이용하게 될 빔형성 벡터 [w 1 n,k , ... ,w M n ,k ] T 를 의미한다. w n, k means the case where the user k for the n sub-band beamforming vector to be utilized [w 1 n, k, ... , w M n, k] T. w H n ,k 는 상기 빔형성 벡터의 전치 켤레(Transpose Conjugate, Hermitian)를 의미한다. 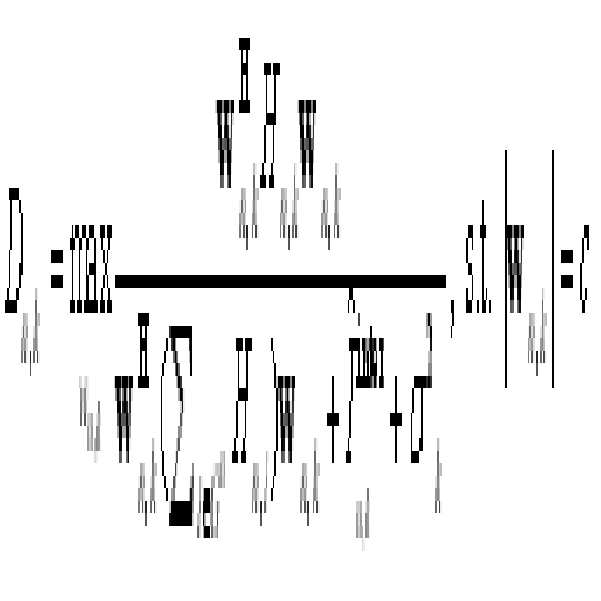 w H n, k denotes the transpose pair (Transpose Conjugate, Hermitian) of the beamforming vector. c는 상수이며, G n c is a constant, G n 은 이미 서브 밴드 n을 점유하고 있는 사용자들의 집합이다. Is already a set of users occupying the sub-band n.
한편, '사용자 k가 서브 밴드 n을 공유하기 전에 사용자 i가 서브 밴드 n으로부터 겪게 되는 간섭량'은 아래의 [수학식 15]으로 표현되며, '사용자 k가 서브 밴드 n을 공유할 경우의 사용자 i가 서브 밴드 n으로부터 겪게 되는 간섭량'은 아래의 [수학식 16]과 같이 표현된다. 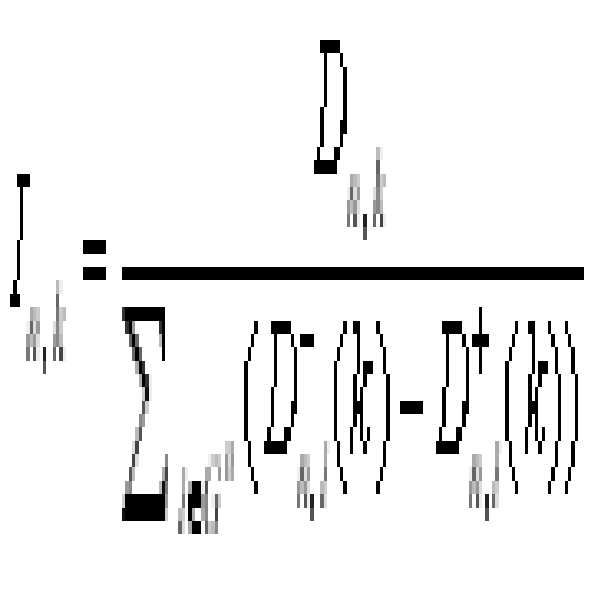 On the other hand, users k is the amount of interference experienced by user i is from subband n prior to share the sub-band n 'is expressed as [Equation 15] below, users when the user k can share the sub-band n i the sub-band n from the amount of interference experienced by "is expressed as [equation 16] below. 간섭량증가측정요소(IPF)는 상기 [수학식 13] 내지 [수학식 16]를 토대로 아 래의 [수학식 17]와 같이 표현되며, 단일 셀 환경에서의 간섭량증가측정요소(IPF)와는 달리 '사용자 k의 n번째 서브 채널이 겪은 인접 셀 간섭의 예측량'이 고려됨을 알 수 있다. Interference increases measuring element (IPF) is, unlike the equation 13] to be expressed as: [Equation 17] the below on the basis of equation 16], the amount of interference increases measuring element (IPF) in the single-cell environment, the cells of the interference yecheukryang 'adjacent the n th sub-channel of user k undergone it can be seen that considered. 다음으로, 수율증가측정요소(RIF; Rate Increment Factor)는 아래의 [수학식 18]과 같이 표현되며, 상기 [수학식 6]에서 설명한 바와 동일하다. 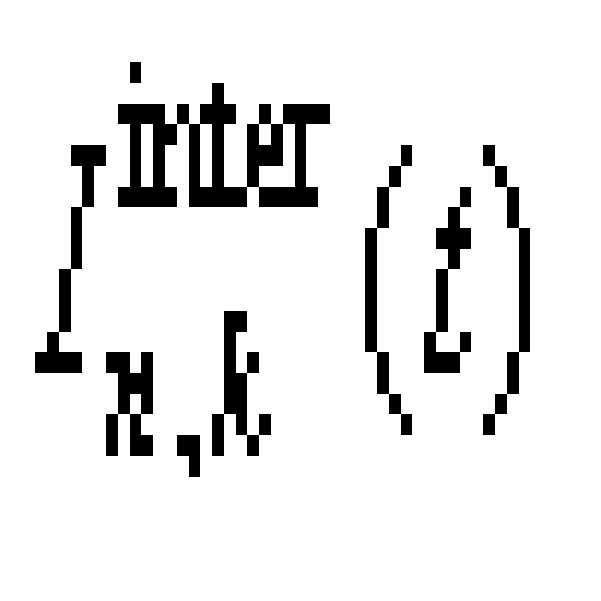 Next, the yield increased measuring element; is expressed as (RIF Increment Rate Factor) of [Equation 18] below, the same as described in the [Equation 6]. 따라서, 빔형성/공간 구분부(340)에서 계산되는 인접셀 간섭이 고려된 수율최대화메트릭(TM_Metric)은 아래의 [수학식 19]와 같다. 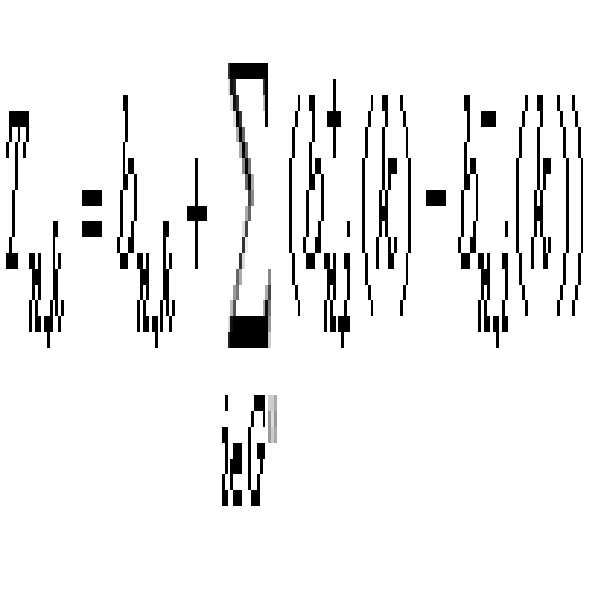 Therefore, the maximum inter-cell interference is taken into account yield is calculated in the beam forming / area dividing section 340, metrics (TM_Metric) is shown in equation 19 below. 상기 수율최대화메트릭(TM_Metric)은 자원할당에 있어 우선적으로 수율증가측정요소(RIF)가 고려되도록 하며, 만약 같은 수율증가측정요소(RIF)를 가지는 사 용자들이 있는 경우에는 간섭량증가측정요소(IPF)가 가장 큰 사용자에게 우선적으로 채널 자원이 할당되도록 한다. The yield maximum metric (TM_Metric) will preferentially yield increased measuring element (RIF) is, and to be considered, if in use with the same yield increase in the measurement element (RIF) the user to have increased interference amount measurement element (IPF) in the resource allocation such that the first channel is assigned as a resource to the most users. 이하, QoS정보 획득부(380)가 획득된 QoS 파라미터를 이용하여 QoS 메트릭(QoS_Metric)를 생성하는 방법을 설명한다. Or less, by using the QoS parameters is acquired QoS information acquisition unit 380 will be described how to generate a QoS metric (QoS_Metric). 상기 QoS 메트릭(QoS_Metric)은 서브 밴드 할당부(320)에서 자원 할당시 사용자 단말이 요구하는 트래픽 특성을 고려하도록 함으로써 MAC 계층 이상의 상위계층(High Layer) QoS가 보장될 수 있도록 한다. The QoS metrics (QoS_Metric) allows the subband assignment unit 320, a resource allocation when the user terminal is higher layer than the MAC layer to consider the traffic characteristics by requiring (High Layer) In the QoS can be guaranteed. 우선, 상위계층 QoS 파라미터를 고려하기 위한 메트릭(Q)은 아래의 [수학식 20]과 같이 설계할 수 있다. 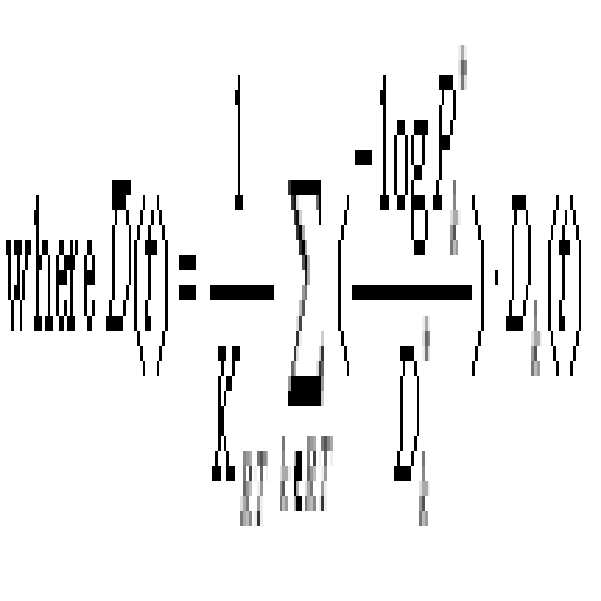 First, the metric (Q) for the consideration of the higher layer QoS parameters can be designed as shown in [Equation 20] below. 는 웨이티드(Weighted) 평균 지연을 의미한다. It refers to a weighted (Weighted) Average delays. R K (t)는 사용자 k가 시간 t 동안 서비스받은 데이터율을 의미하며, R * min,k 는 사용자 k가 요구하는 최소 데이터율을 의미한다. R K (t) indicates the data rate is received service user k during the time t, R * min, and k refers to the minimum data rate required by the user k.
상기 [수학식 20]에서 보듯이, 상위계층 QoS 파라미터를 고려하기 위한 메트릭(Q)은 사용자가 실시간 서비스를 요구하는 경우 기지국 버퍼에서의 지연 시간 이외에도 목표(Target) 패킷 손실율과 지연 제한을 고려하도록 설계되었다. Wherein, as shown in [Equation 20], to the metric (Q) for the consideration of the higher layer QoS parameters is the user and considering the delay in addition to the target (Target) packet loss rate and the delay constraints of the base station the buffer when required for real-time services It was designed. 또한, 사용자가 비실시간 서비스를 요구하는 경우에는 최소 전송율(Minimum Transmission Rate)를 고려하도록 설계되었다. In addition, when the user requests a non-real-time services designed to take into account the minimum rate (Minimum Transmission Rate). 최소 전송율이란 서비스 사용자가 요구하는 최소한의 수율을 의미한다. The minimum rate means the minimum yield for the service users' needs. 한편, 사용자가 Best Effort 서비스를 요구한 경우에는 별다른 상위계층 QoS 요구 조건이 없으므로 상기 실시간 서비스나 비실시시간 서비스에 비하여 우선 순위가 낮게 설정('-1'로 설정)되도록 하였다. On the other hand, it was such that the user and Best Effort If a request for service (set to '1') First set to be lower ranked than otherwise because the higher layer QoS requirements of the real-time service or non-time service performed. 한편, 실시간 서비스(Real Time Service)가 비실시간 서비스에 비해 높은 우선 순위를 유지할 수 있도록 아래의 [수학식 21]과 같은 메트릭(P)이 추가적으로 필요하다. 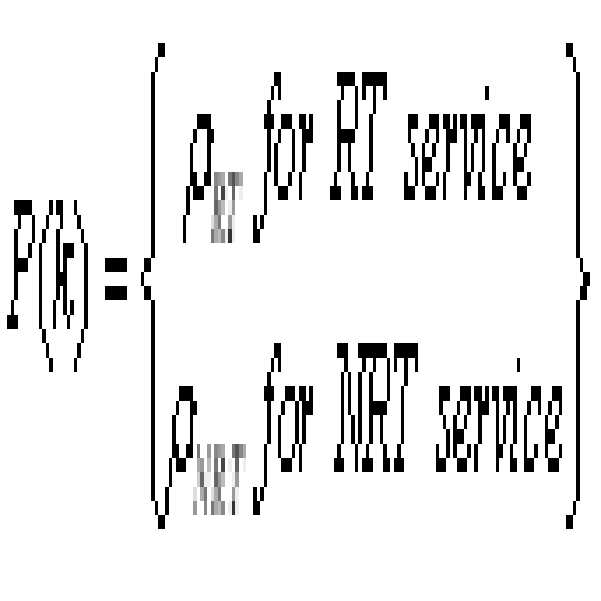 On the other hand, there is a need for a metric (P) as shown in [Equation 21] under the addition to the real-time service (Real Time Service) to maintain a higher priority than non-real-time service. 아래의 [수학식 21]에서 ρ RT 는 ρ NRT In the Equation (21)] below, ρ is ρ RT NRT 보다 크게 설정된다. It is set to be larger than that. 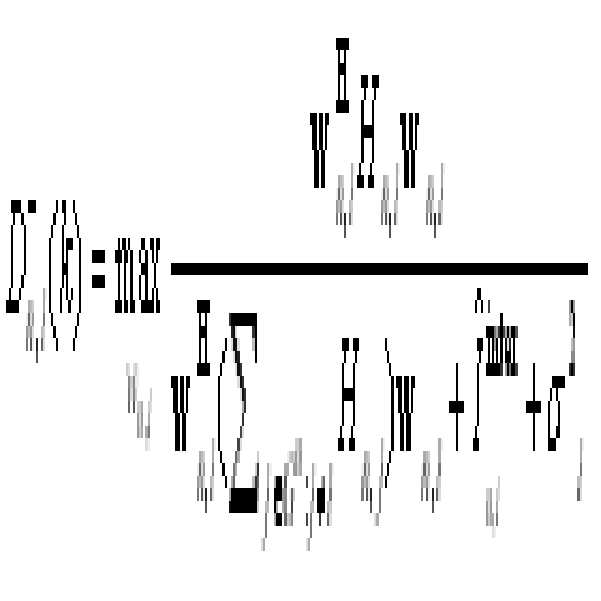 QoS 메트릭(QoS_Metric)은 상기 상위계층 QoS 파라미터를 고려하기 위한 메트릭(Q)과 실시간 서비스가 비실시간 서비스에 비해 높은 우선 순위를 유지할 수 있도록 하기 위한 메트릭(P)를 합한 값으로서 아래의 [수학식 22]와 같이 표현된다. QoS metric (QoS_Metric) has the formula below as the sum of the metric (P) to allow the metric (Q) and the real-time service for considering the higher layer QoS parameters to maintain a higher priority than non-real-time service 22] is expressed as. 마지막으로, 상기 서브밴드 할당부(320)는 상기 QoS 정보 획득부(380)에서 생성된 QoS 메트릭(QoS_Metric) 및 상기 빔형성/공간 구분부(340)에서 생성된 수율최대화메트릭(TM_Metric)으로부터 아래의 [수학식 23]로 표현되는 혼합 메트릭(Unified Metric)을 생성한다. Downward from the end, the subband assignment unit 320 The yield maximum metric (TM_Metric) produced by the QoS metric (QoS_Metric) and the beam forming / space separation unit 340, generated by the acquisition unit 380, the QoS information It produces a mixture of the metric (Unified metric) represented by the formula 23]. 상기 서브밴드 할당부(320)은 각 서브 밴드에 대하여 상기 혼합 메트릭 값이 가장 큰 사용자에게 자원을 할당한다. The sub-band allocation section 320 allocates resources to the mixed metric values ​​are largest users for each sub-band. 여기서, β는 QoS 메트릭(QoS_Metric)과 수율최대화메트릭(TM_Metric)의 가중치를 결정하기 위한 변수다. 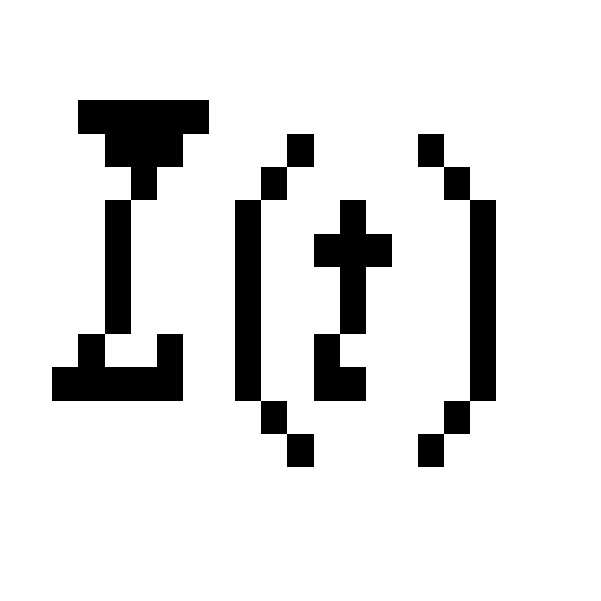 Here, β is a variable for determining the weight of the QoS metric (QoS_Metric) and yield maximum metric (TM_Metric). QoS 메트릭(QoS_Metric)과 수율최대화메트릭(TM_Metric)은 트레이드-오프(Trade-Off) 특성을 나타낸다. QoS metric (QoS_Metric) and yield maximum metric (TM_Metric) is a trade-off represents a (Trade-Off) properties. 따라서 높은 QoS를 요구하는 사용자의 밀도에 따라 상기 두 가지 메트릭의 가중치를 적절하게 변경하여 적용함으로써 사용자가 요구하는 QoS를 보장하면서 시스템 수율 손실을 최소화 할 수 있다. Therefore, it is possible to minimize the loss of system throughput while ensuring the QoS requested by the user by applying the appropriate changes to the weights of the two metrics in accordance with the density of the user requiring a high QoS. 도 4는 도 2의 기지국에서 수행되는 인접셀 간섭정보 및 QoS 정보가 고려된 수율 최대화 자원할당 방법을 설명하는 일실시예 흐름도이다. Figure 4 is one embodiment of a flow diagram illustrating the inter-cell interference information and the QoS information is to maximize the yield considering resource allocation method is also performed in the second base station. 도 5는 본 발명에 따른 혼합 메트릭을 생성하는 방법을 설명하기 위한 일실시예 상세 흐름도이다. Figure 5 is one embodiment of a detailed flow diagram illustrating a method of generating a mixed metric in accordance with the present invention. 우선, 각각의 사용자 단말(MS; Mobile Station)에 대하여 채널상태정보(SC 매트릭스), 인접셀 간섭정보, QoS 정보를 획득한다(S410). First, each user terminal; acquires the channel state information (SC matrix), inter-cell interference information, QoS information for the (Mobile Station MS) (S410). 이어서, 상기 획득된 정보들을 이용하여 계산된 혼합 메트릭(Unified Metric)이 가장 큰 사용자들을 각 서브 밴드에 할당한다(S420). Then, the mixed metric calculation using the obtained information (Unified Metric) is assigned the largest user on each sub-band (S420). 초기에는 모든 서브 밴드가 사용자들에게 할당 가능하다. Initially, it is possible to allocate all the sub-band user. 상기 혼합 메트릭(Unified Metric)을 구하기 위하여, 우선 QoS 정보 획득부(380)가 각 사용자의 상위계층 QoS 파라미터를 이용하여 QoS 메트릭(QoS_Metric)을 생성한다(S510). In order to obtain the mixed metric (Unified Metric), First, the QoS information acquisition unit 380 generates a QoS metric (QoS_Metric) by using a higher layer QoS parameters for each user (S510). 그리고 빔형성/공간구분부(340)는 채널상태정보/인접셀간섭정보획득부(370)에서 획득된 SC 메트릭스와 인접셀간섭정보를 이용하여 수율최대화메트릭(TM_Metric)을 생성한다(S520). And the beam forming / area dividing section 340 is to maximize the yield by using the SC matrix and inter-cell interference information obtained from the channel state information / inter-cell interference-information obtaining unit 370 and generates a metric (TM_Metric) (S520). 마지막으로, 서브밴드할당부(320)는 상기 QoS 메트릭(QoS_Metric) 및 상기 수율최대화메트릭(TM_Metric)를 이용하여 각각의 사용자의 서브 밴드별 혼합 메트릭(Unified Metric)을 계산한다(S530). Finally, the assignment (320) to the sub-band is calculated by the QoS metric (QoS_Metric) and the yield maximized metric (TM_Metric) mixed metric (Unified Metric) by each user of the sub-bands by using a (S530). 한편, 상기 빔형성/공간 구분부(340)는 상기 채널 할당으로 인하여 변경된 동일 채널 사용자들의 IPF 및 RIF를 업데이트한다(S430). On the other hand, the beam forming / space separation unit 340 updates the IPF and RIF of co-channel users is changed due to the assigned channel (S430). 이후, 각 서브 밴드에 대하여 전송 안테나 수만큼 사용자를 할당했거나 더 이상 SDMA로 인한 이득이 없는 경우, 상기 서브밴드 할당부(320)는 할당 가능 리스트에서 해당 서브 밴드를 제거한다(S440). Then, to remove the sub-band when there is no gain as transmission antennas or assign a user due to more than SDMA, for each subband, said subband assignment unit 320 in the free list is assigned (S440). SDMA로 인한 이득이 없는 경우라 함은 각 서브 밴드에 대하여 할당된 모든 사용자들의 RIF가 0이하인 경우를 의미한다. If there is no gain caused by SDMA referred to means the case where the RIF of all users assigned to each sub-band less than or equal to zero. 이어서, 할당 가능 리스트가 남아있는 경우에는 상기 단계 S420으로 리턴하며, 할당 가능 리스트가 남아있지 않는 경우에는 각각의 사용자에게 할당된 자원을 통하여 다음 프레임 구간 전까지 패킷을 전송한다(S450, S460). Then, if the free list is assigned remains in the case, and that is returned to the step S420, the assignment is not left in the free list and transmits the next packet until the frame period by the resources allocated to each user (S450, S460). 상술한 바와 같은 본 발명의 방법은 프로그램으로 구현되어 컴퓨터로 읽을 수 있는 형태로 기록매체(씨디롬, 램, 롬, 플로피 디스크, 하드 디스크, 광자기 디스크 등)에 저장될 수 있다. The method of the present invention as described above may be stored in a form that is implemented as a program in a computer-readable recording medium (a CD-ROM, RAM, ROM, floppy disk, hard disk, optical magnetic disk, etc.). 이러한 과정은 본 발명이 속하는 기술 분야에서 통상의 지식을 가진 자가 용이하게 실시할 수 있으므로 더 이상 상세히 설명하지 않기로 한다. Since the process can be easily implemented by those of ordinary skill in the art and will not be further described in detail. 이상에서 설명한 본 발명은, 본 발명이 속하는 기술분야에서 통상의 지식을 가진 자에게 있어 본 발명의 기술적 사상을 벗어나지 않는 범위 내에서 여러 가지 치환, 변형 및 변경이 가능하므로 전술한 실시예 및 첨부된 도면에 의해 한정되는 것이 아니다. The present invention described in the above, the present invention are here to those of ordinary skill in the art can be various changes and modifications may be made without departing from the scope of the present invention, since the above-described embodiments and the accompanying It not limited by the drawings. 상기와 같은 본 발명은, OFDM/SDMA 기반 셀룰러 시스템에서 하향링크로 자원을 할당함에 있어 MAC 계층 이상의 상위 계층에서의 QoS 파라미터(High Layer QoS parameter)를 고려함으로써, 시스템 수율 손실을 최소화하면서 상위 계층에서의 QoS(High Layer QoS) 를 보장할 수 있는 효과가 있다. The present invention as described above, OFDM / SDMA-based by it consider the QoS parameter (High Layer QoS parameter) in an upper layer above the MAC layer as allocating resources to the downlink in a cellular system, in an upper layer with minimal system yield loss it is that the QoS can be guaranteed (High Layer QoS) effects. 또한, 본 발명은 다중 셀(Multi-Cell) 환경에서 기인하는 인접 셀 간섭 정보를 자원 할당에 고려할 수 있도록 함으로써, 다중 셀(Multi-Cell) 환경에서도 인접 셀 간섭으로 인한 시스템의 성능 열화를 방지할 수 있는 효과가 있다. In addition, the present invention prevents the performance deterioration of multi-cell (Multi-Cell) environment, inter-cell interference information by making it possible to consider the resource allocation, in the multi-cell (Multi-Cell) environment, the system due to the cell adjacent interference caused by there is an effect that it is possible. 를 포함하는 하향링크 자원할당 장치. Downlink resource allocation apparatus comprising a. 하향링크 자원할당 장치. Downlink resource allocation unit. 를 포함하는 하향링크 자원할당 방법. Downlink resource allocation method comprising a. 하향링크 자원할당 방법. Downlink resource allocation method.